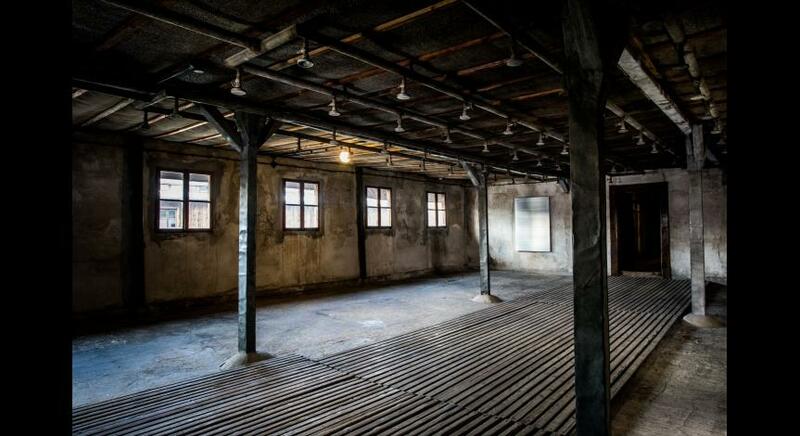 Extermination installations were built at Majdanek – most sources indicate – at the inspiration of Globocnik, who ‘on numerous occasions inspected the camp and was particularly interested in gas chambers’ [Nbg. Doc. NO-1903, Affidavit of Friedrich W. Ruppert of 6 August 1945]. 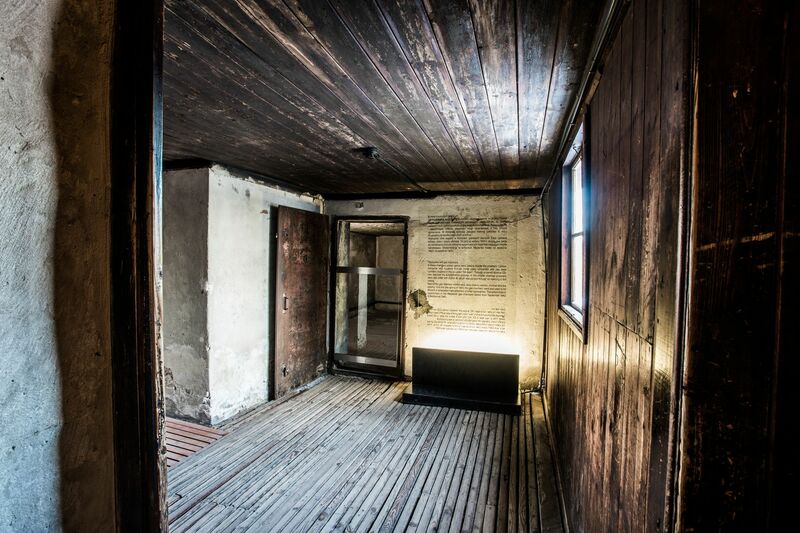 Additionally, we can assume that the decision to build chambers for murdering people at KL Lublin was indirectly related to Himmler’s order dated 19 July 1942, in which he set the date of 31 December 1942, as the deadline for ‘cleansing’ the General Government of Jews. 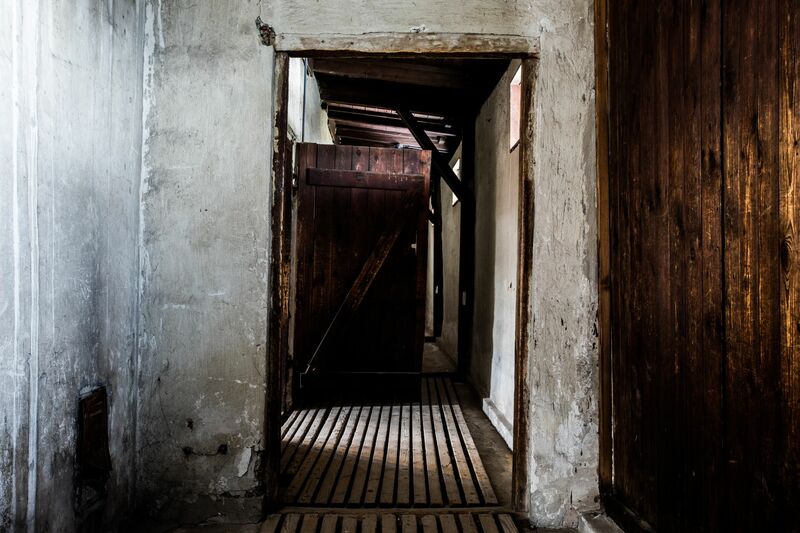 According to that decree, Majdanek was supposed to serve as a gathering point (Sammellager) and a labour camp, but it was known that the only Jewish prisoners who were temporarily excluded from extermination were people aged 16 through to 35 who were able to work. In the case of deportations of entire families, those not meeting these criteria were doomed to death. 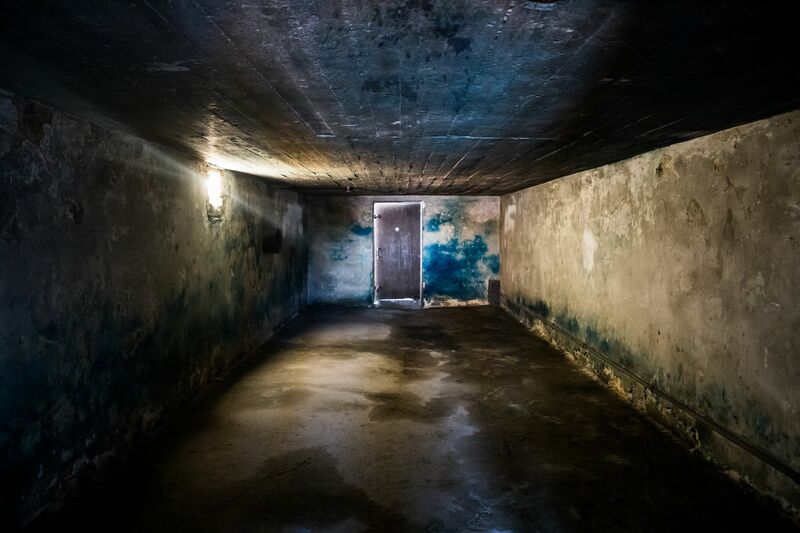 There is also evidence suggesting that the conversion of disinfection chambers constructed at Majdanek into gas chambers was related to the reorganization of the camps under ‘Operation Reinhard’. 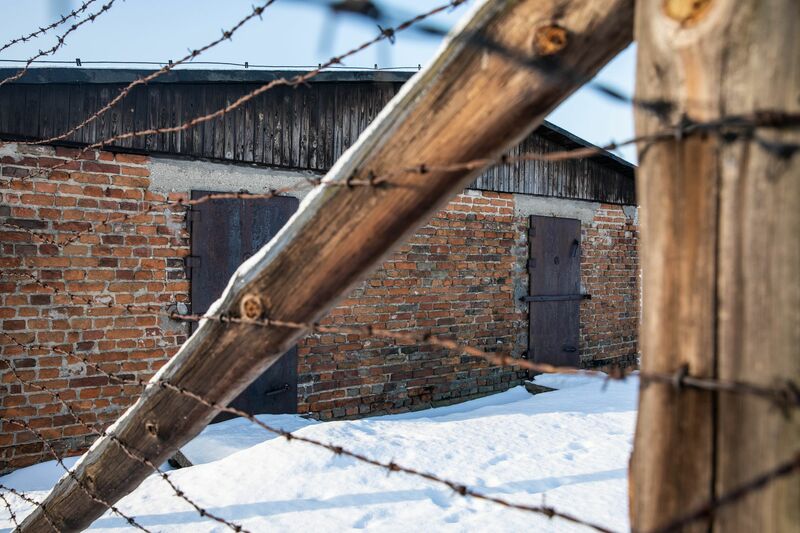 Beginning on 1 August 1942, the post of the Inspector of these centres was held by Christian Wirth, the former commandant of the death camp at Bełżec. 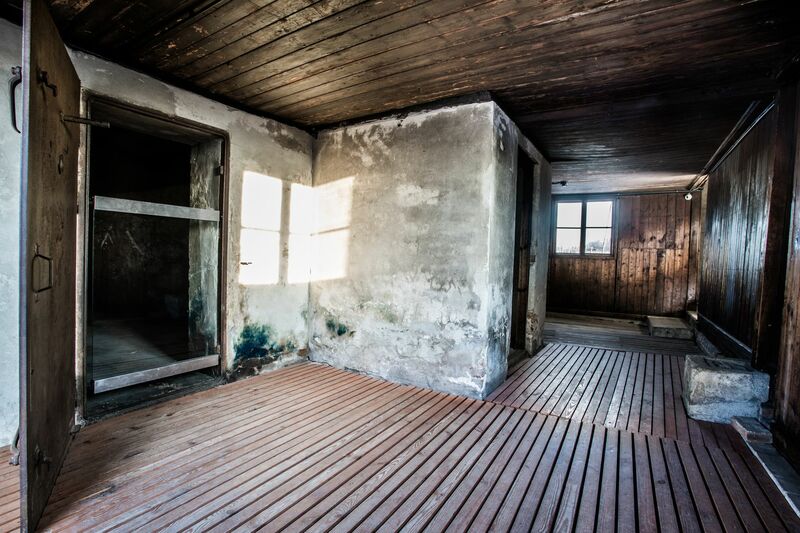 On 7 August 1942, Dr. Hans Kammler, the head of the Construction Office Group at the WVHA, carried out an inspection of Majdanek. He discussed a programme to speed up the building of the camp during a meeting with Globocnik. A day later, he visited Bełżec and, on 11 August, held a meeting with Himmler in order to discuss the extermination of the Jews. 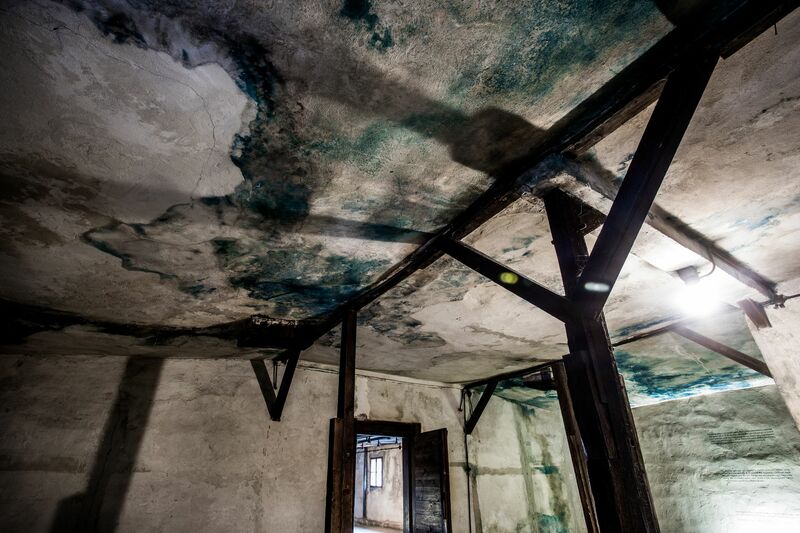 On 17 August, Konzentrationslager Lublin was visited by Kurt Gerstein, an expert on disinfection and toxic gases from the SS Institute of Hygiene in Berlin. 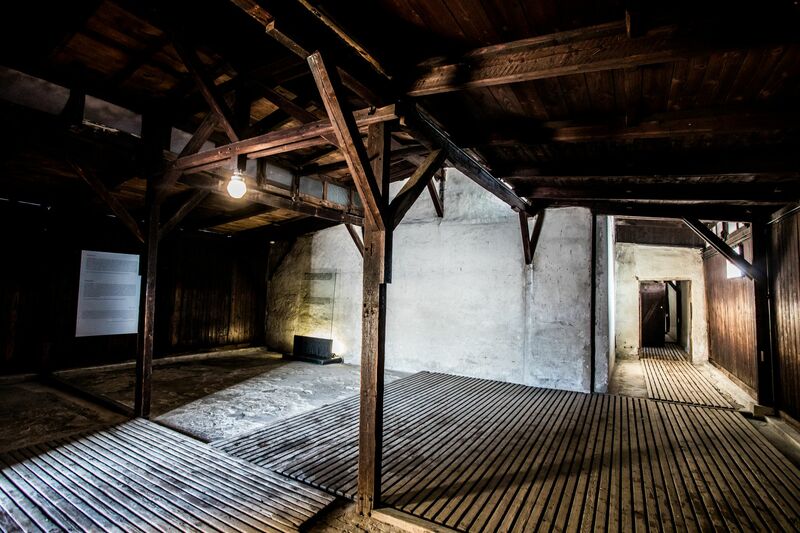 His testimony shows that Globocnik served as his guide at Majdanek and, in a written report, he states that he visited the camp, just as he did Bełżec and Treblinka, accompanied by Christian Wirth, whom he called their ‘director’. 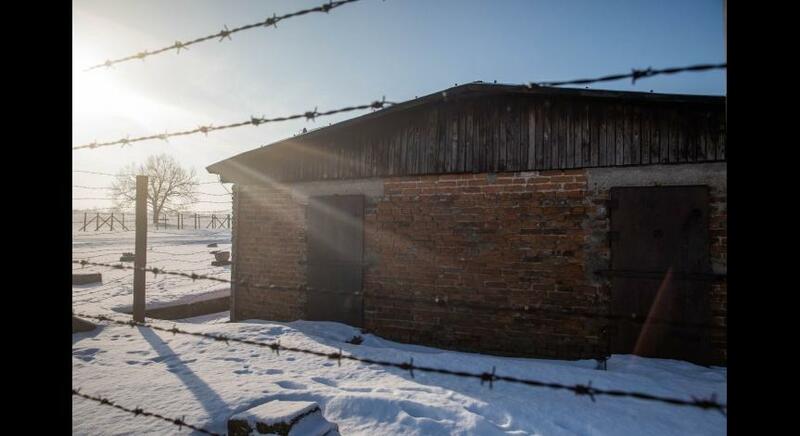 In that document, he listed Majdanek as number four on a list of camps, after Bełżec, Sobibór and Treblinka and did not devote a lot of attention to it, writing laconically: ‘Majdanek near Lublin - at this time under construction’. 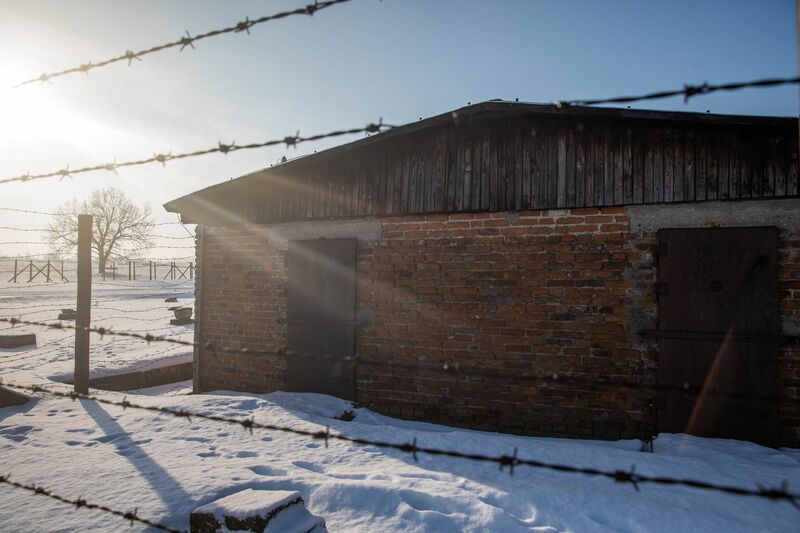 While the operation of camps directly supervised by the Einsatz Reinhardt Special Commando Inspector Christian Wirth is relatively well known, little is known about exterminations in the Majdanek gas chambers. Even meticulous investigations by the German prosecutors (Zentrale Stelle der Landesjustizverwaltungen zur Aufklarung nationalsozialistischer Verbrechen in Ludwigsburg), and a subsequent trial lasting several years in Düsseldorf (1975-1981), did not manage to explain many pertinent questions. Subject literature currently contains many inaccuracies which should be corrected and verified. 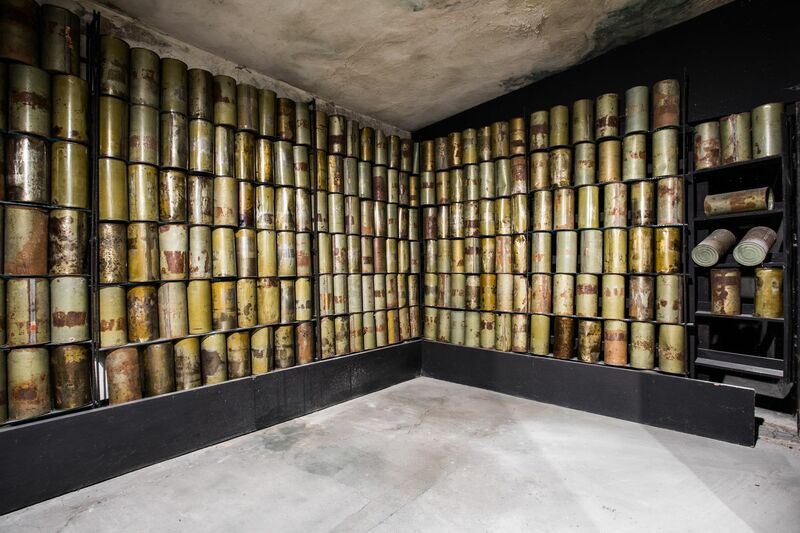 They predominantly concern such issues as the structure and placement of the chambers, which chambers were used for murdering people, the duration during which gas chambers were used for extermination, and establishing the frequency and scale of prisoner selections. 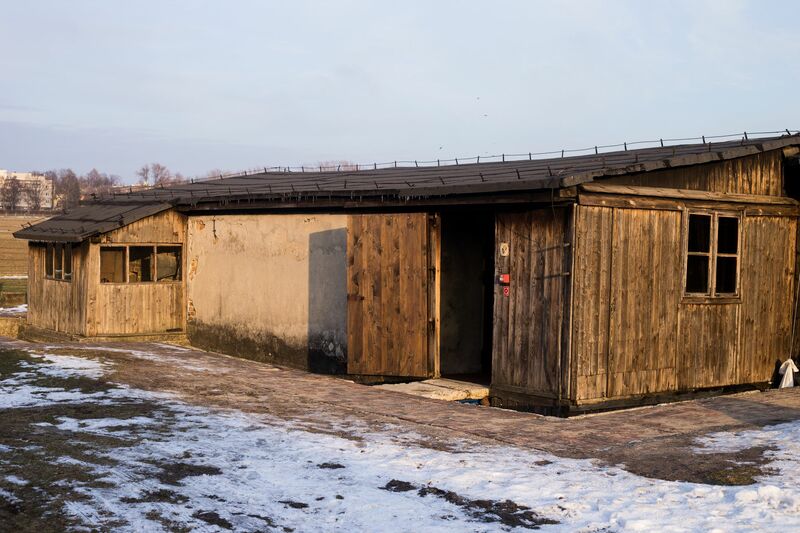 Some older publications devoted to Majdanek suggest that a total of seven gas chambers were built in this camp, but these lack clear confirmation as to whether these chambers were in fact used for the extermination of people. 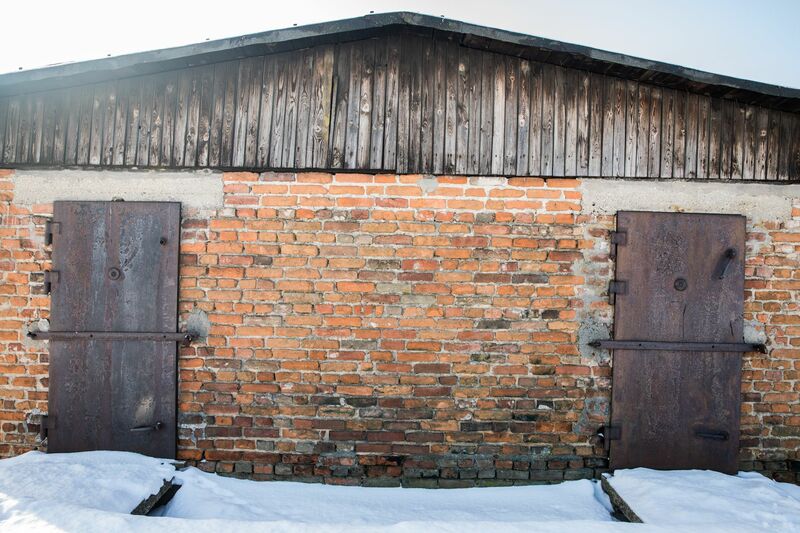 This number appeared for the first time in the expert account of the Polish/Soviet Commission which, in August 1944, conducted an investigation of Nazi crimes committed at the Majdanek camp. 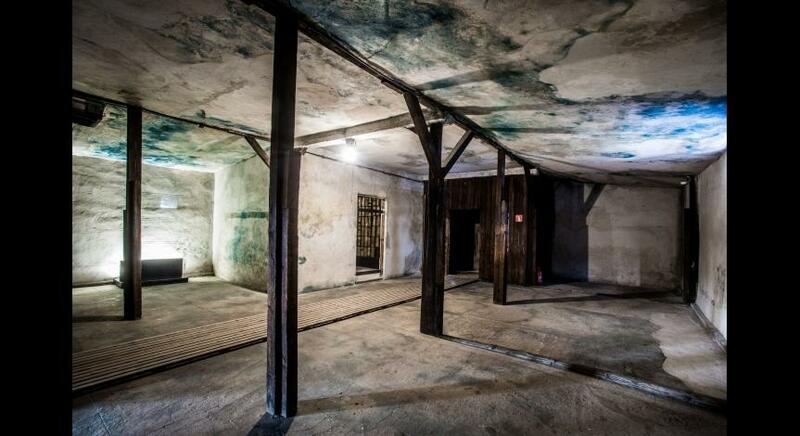 According to its findings, one chamber was located in a bathhouse (barrack No. 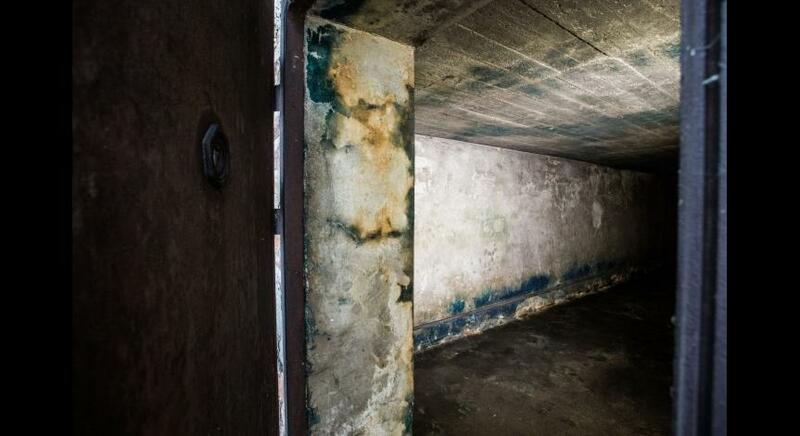 41), three in the neighbouring bunker, two in a barrack on Interfield I (Zwischenfeld I) and one in the so-called ‘new crematorium’ beyond field V. However, a communique of the Commission’s findings, issued in 1945, states that there were a total of six chambers [Communique of the Polish-Soviet Extraordinary Commission for Investigating the Crimes Committed by the Germans in the Majdanek Extermination Camp in Lublin (Moscow, 1944), pp. 13-14]. 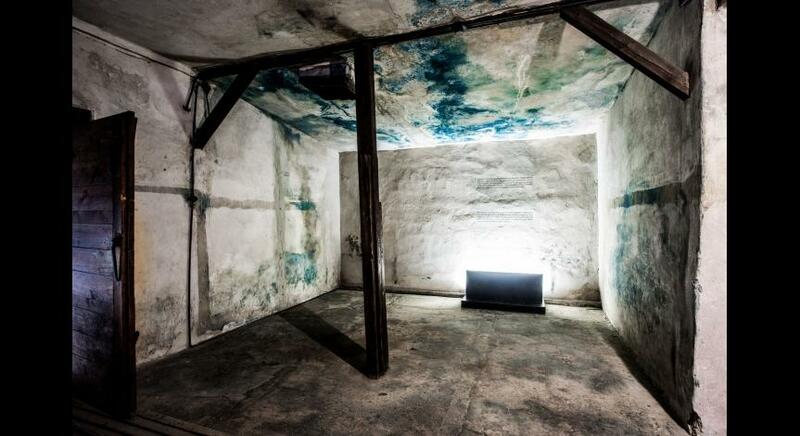 Some historians point to the chambers built in the so-called ‘old crematorium’ on a strip of land between the first and second prison fields (Interfield I) as to being the location for exterminations. 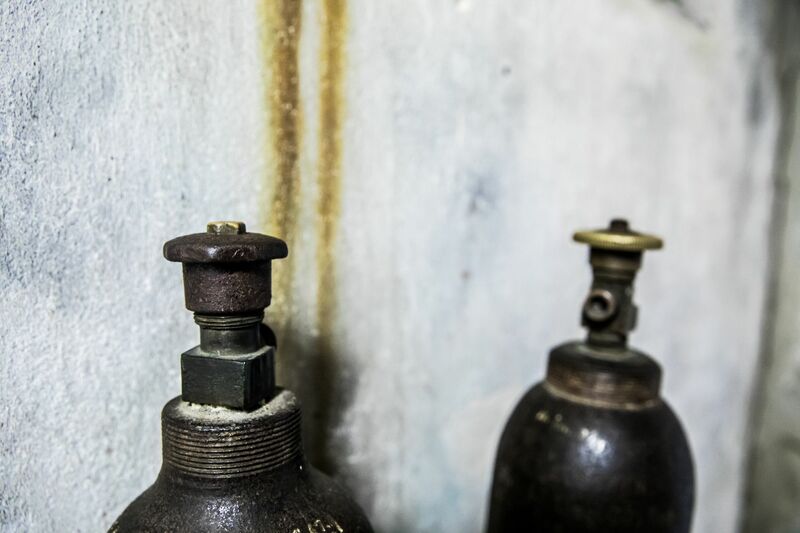 It is assumed that gassings took place there in the summer of 1942. 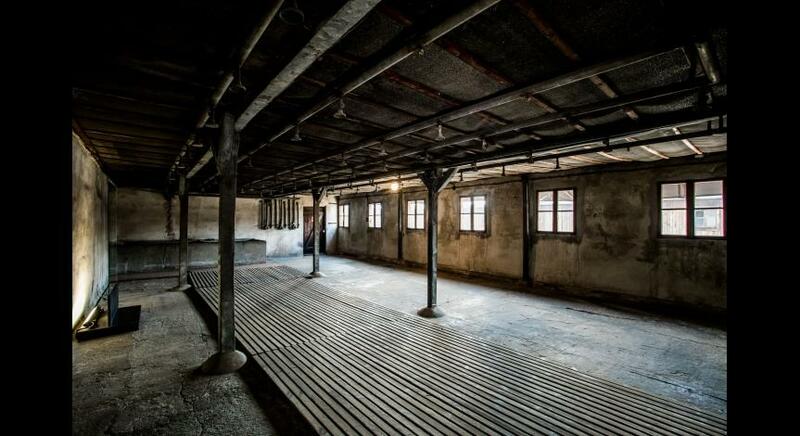 However, there is no mention of the operation of gas chambers in this part of the camp in recollections of Polish prisoners, nor in reports of Jews imprisoned in the camp at that time. It is completely improbable that people kept in fields I and II would not have seen that mass gassings were being carried out near their barracks. 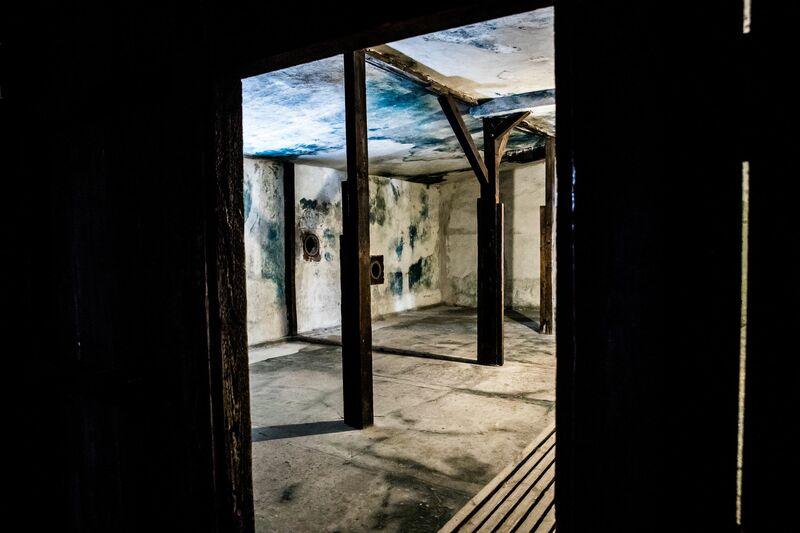 This was first noted by Józef Marszałek who wrote as follows: ‘Placing them [the gas chambers] next to the crematorium - located at that time on the so-called Interfield I - was impractical because there would have been too many witnesses to the gassings. 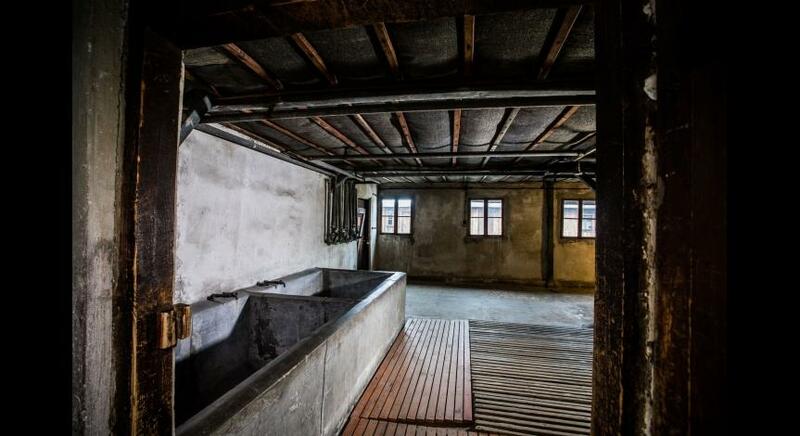 After all, a laundry room was located near the crematorium, with a significant work detail; furthermore, prisoners confined to fields I and II would have been able to clearly observe the crimes of the camp authorities’ [Józef Marszałek, “Budowa obozu koncentracyjnego i ośrodka masowej zagłady na Majdanku w latach 1942-1944,” Zeszyty Majdanka, vol. IV (1969), p. 54]. 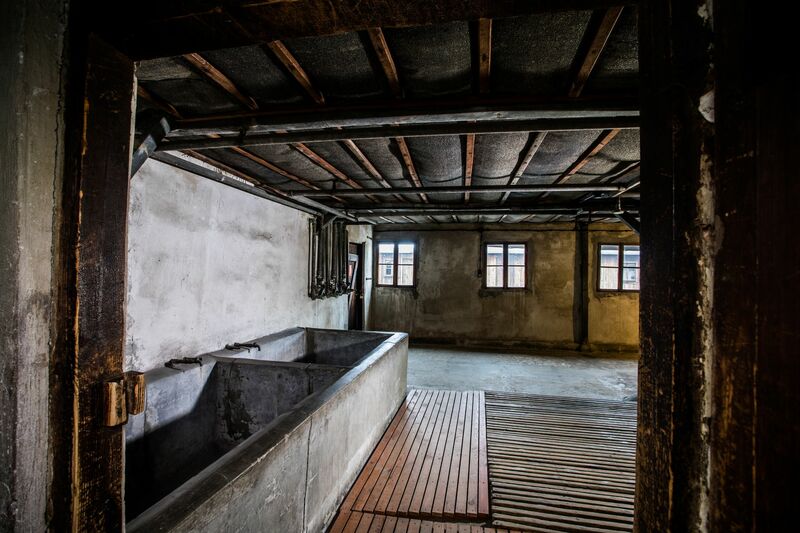 ‘The gas chamber which was located near the bathhouse has indeed recently been dismantled and the equipment removed and even supposedly driven away, but two even larger ones are being built near the laundry because delousing of clothes and underwear is also done using gas’ [APMM, Central Underground Welfare Organization ‘Opus’ (hereinafter ‘Opus’), XII-10, p. 137]. 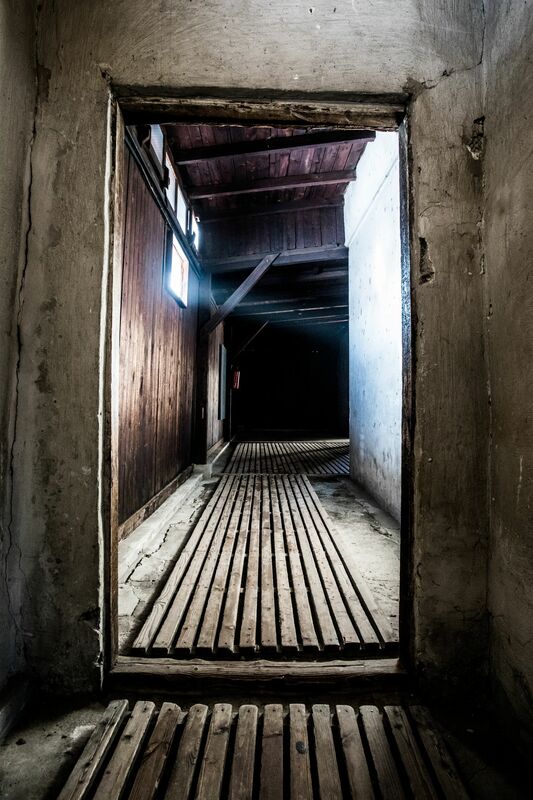 The building mentioned in this message was the old crematorium and nearby shed where - after putting out the furnaces - the bodies of the deceased were stored, and singular murders were committed. 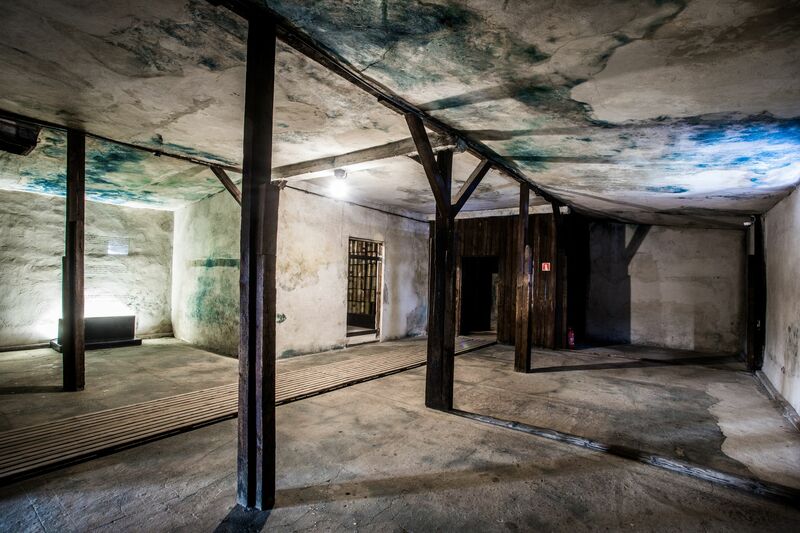 Bodies of prisoners who died in the sick room were brought here, as occasionally were those of prisoners murdered in gas chambers; they were then taken by truck to the Krępiec forest located several kilometres to the south of Lublin. 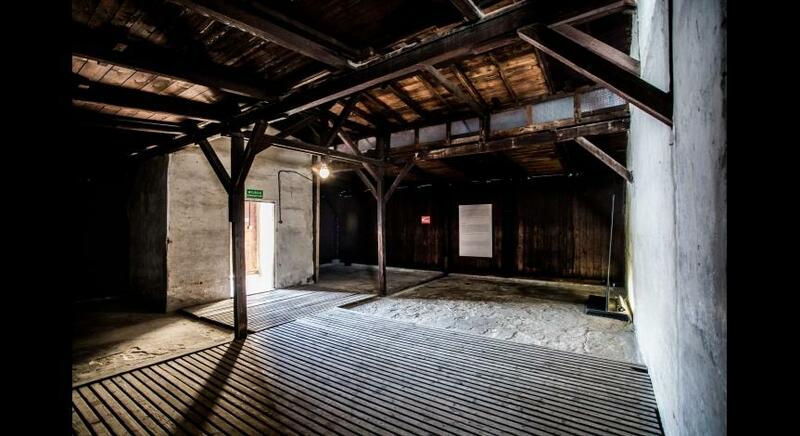 Significant doubts are also raised regarding a statement that a chamber in the bathhouse (barracks No. 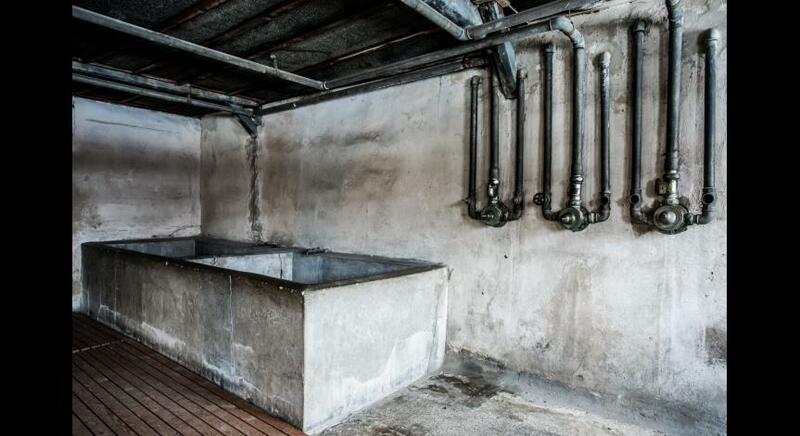 41), directly adjoining the shower room, called the ‘makeshift’ or ‘experimental’ chamber, was also used for murdering people. 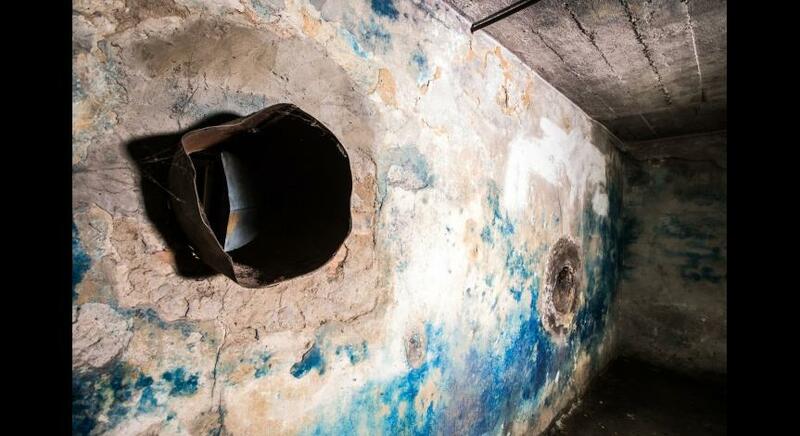 The theory that prisoners were gassed here is further disproved by two arguments. 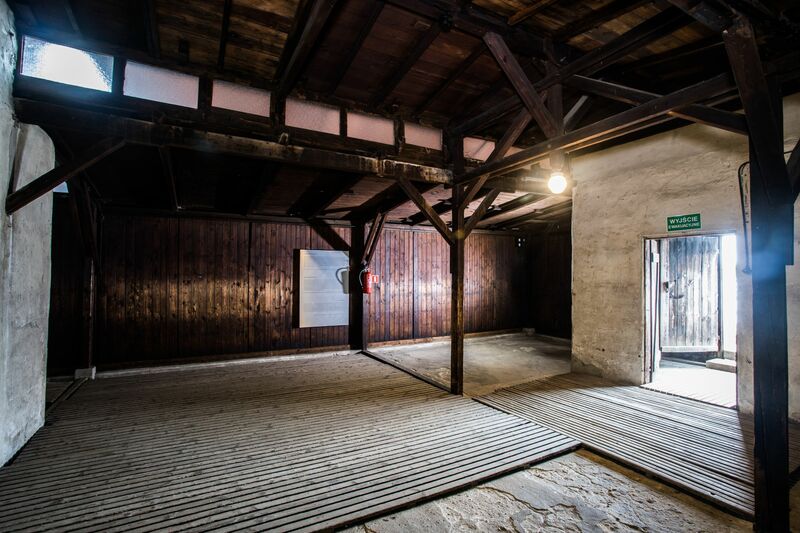 The first is the fact that a wooden door connecting the bathhouse with the chamber opened into the chamber which - if people were murdered here - would greatly complicate the execution procedure. The second argument concerns the chamber’s internal arrangement. 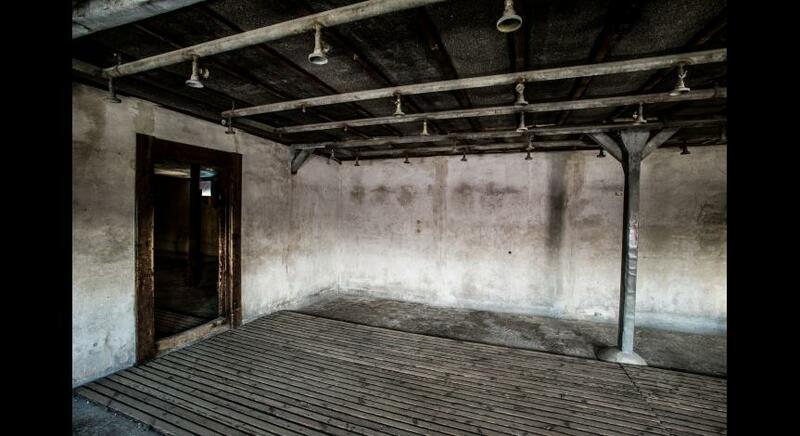 It had a makeshift finish, irregular shape and adjoined not only the bathhouse, but also two other rooms, and had a total of three doors. 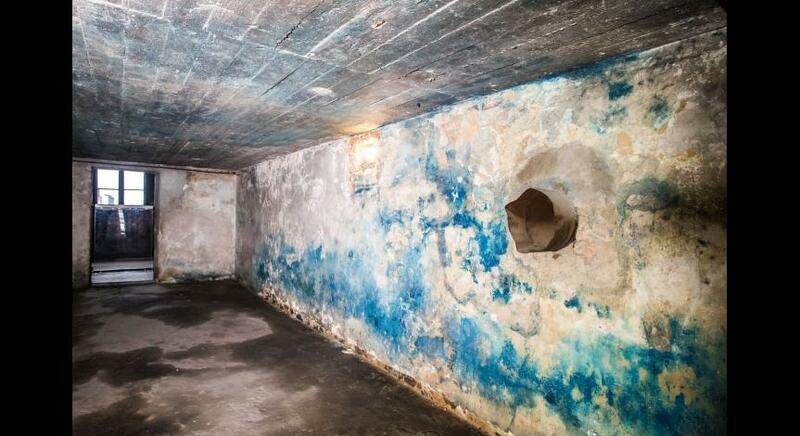 Proof does, however, exist that this chamber was used for disinfecting clothing using Zyklon B. 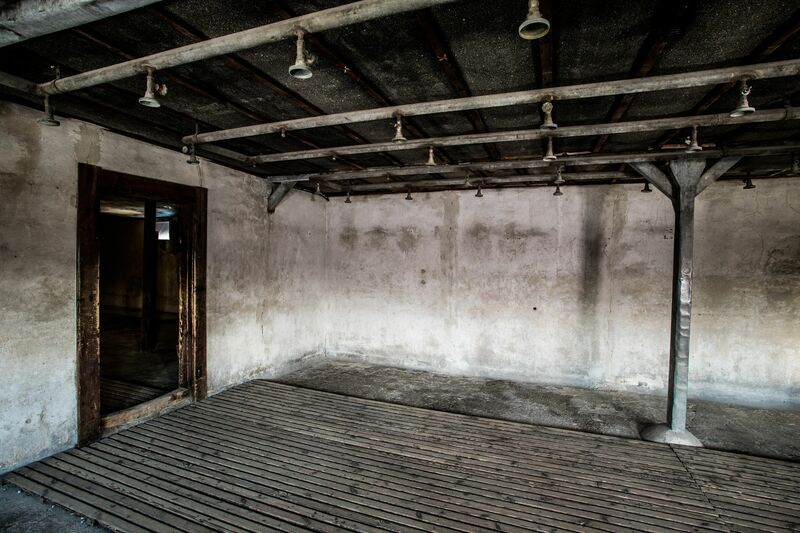 On a plan for the rebuilding of gas chambers, this room was marked as a changing room (Ankleideraum). 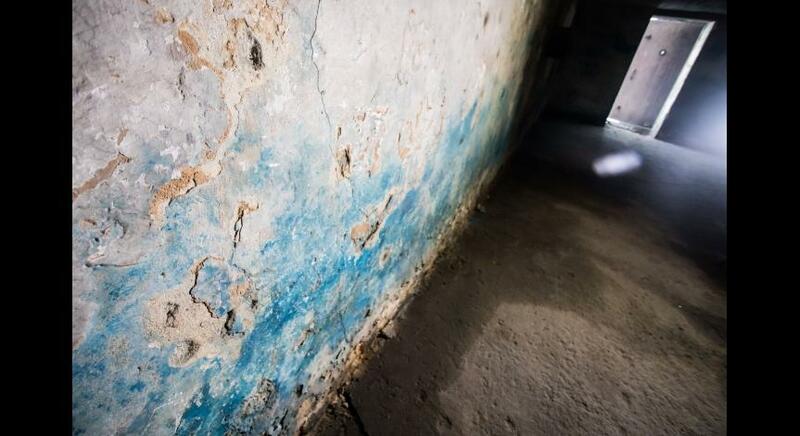 This is certainly not a camouflage term since chambers in the bunkers (known to be used for murderous purposes) shown in this document are signed as ‘existing gas chambers.’ One of the notes concerning sanitary conditions in the camp, dated 10 May 1943, states that disinfection ‘is situated in the changing room of the east wing and, in order to improve efficiency, is supposed to be enhanced by building a separate chamber under the roof [i.e. 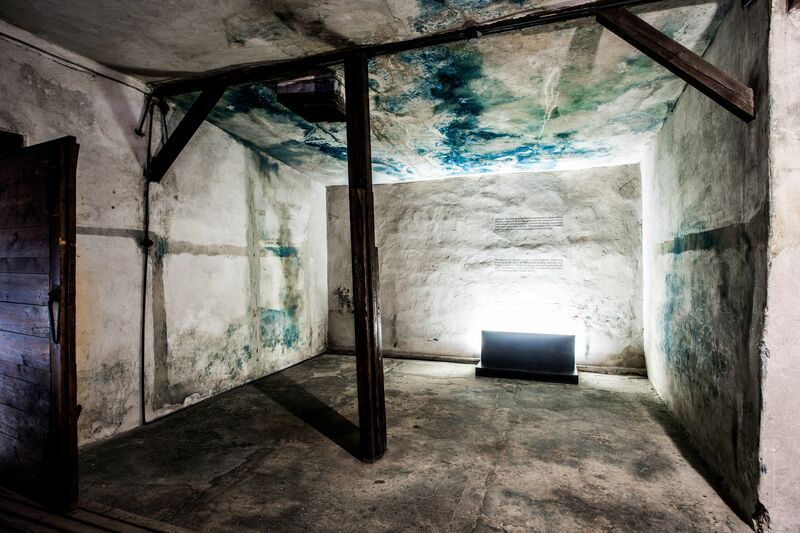 in the bunker]’ [APMM, Photocopies, XIX-42, c. 2-3]; a reference to the chamber in barracks No. 41. 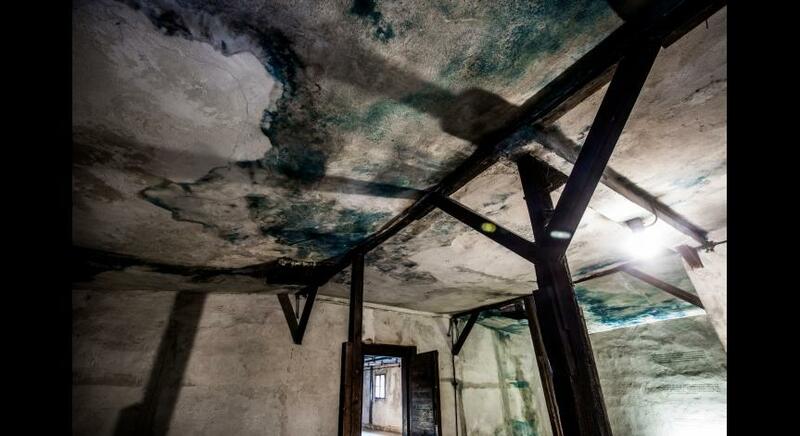 The way disinfection was performed there has also been described in detail in the memoirs of Czeslaw Skoraczyński, who was among the prisoners working - as he puts it - on ‘gassing’ prisoner clothes and SS men’s underwear. 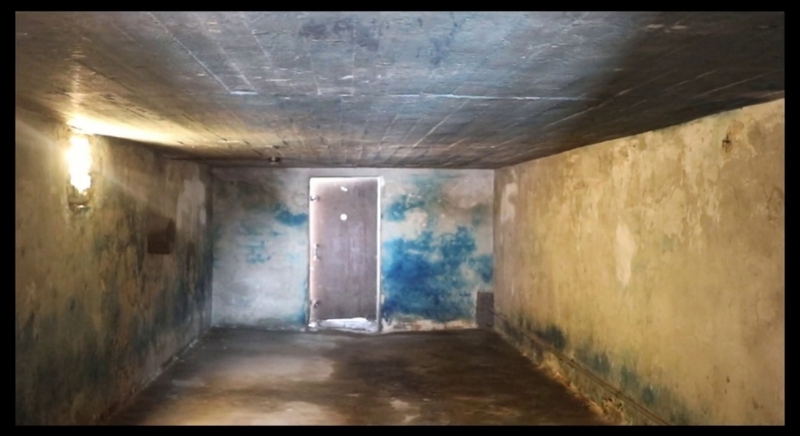 Jean-Claude Pressac, who analyzed the use of gas chambers at Majdanek, claims that the most significant argument determining whether the so-called makeshift gas chamber was used for killing people is finding out whether a window, visible today in that room, existed there during the camp’s operations. 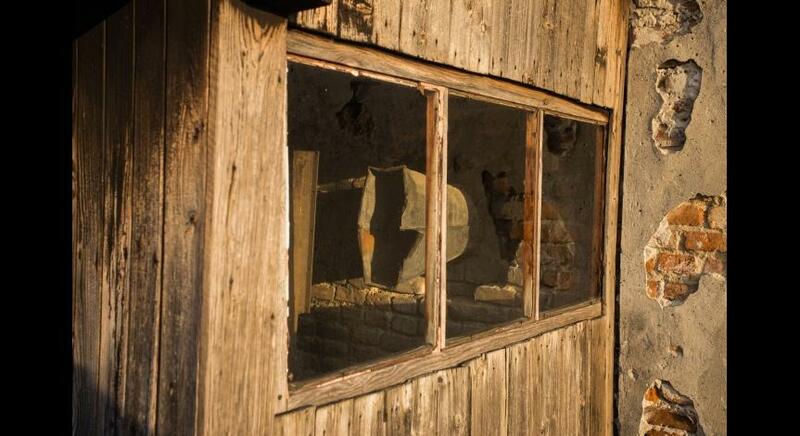 Indeed, this window is not visible on a photograph of the bathhouse taken in 1942. 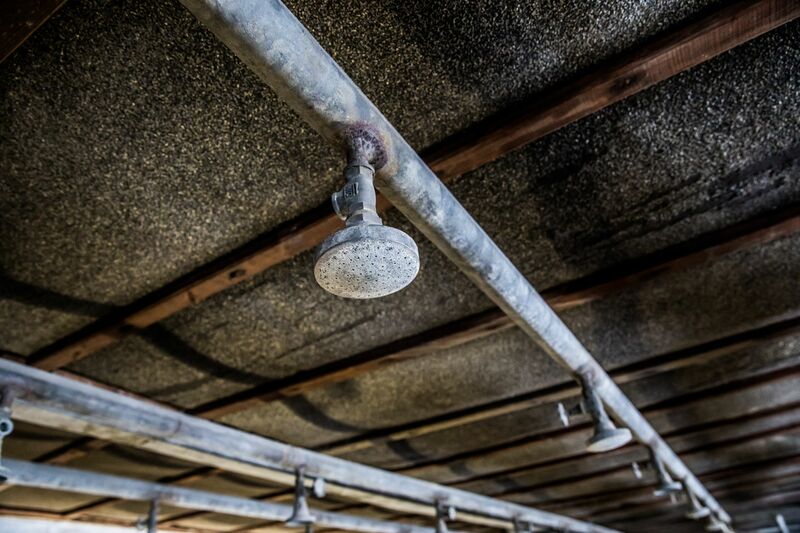 Most likely it was added after the war, during the initial repair work, when the bathhouse barracks were connected to the bunker and the entire structure covered with a common roof. 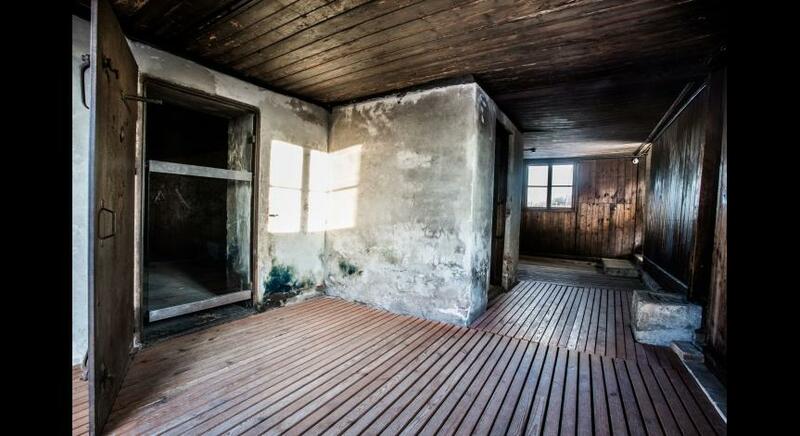 Another issue yet to be satisfactorily explained is whether, at Majdanek, people were murdered in a specially-converted truck. 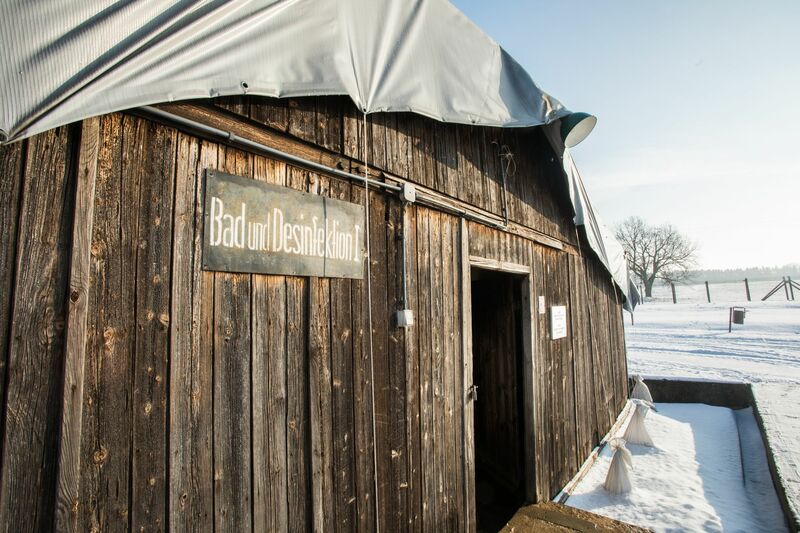 Alexander Donat has described seeing a covered truck on the grounds of the camp’s automobile park (Fahrbereitschaft) used - according to him - for killing people with carbon monoxide. 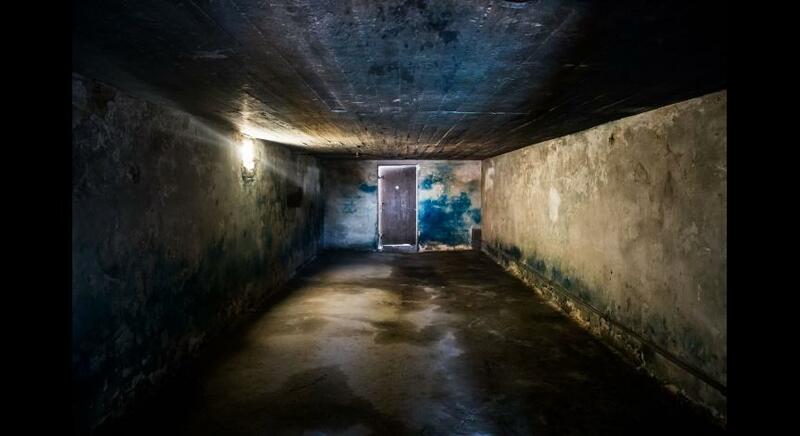 Information about the gassing with automobile fumes of 60 Jewish women from Majdanek picked out during a selection carried out between January and May 1943 is also mentioned in the indictment of Hackmann and nine other members of Majdanek’s SS personnel. 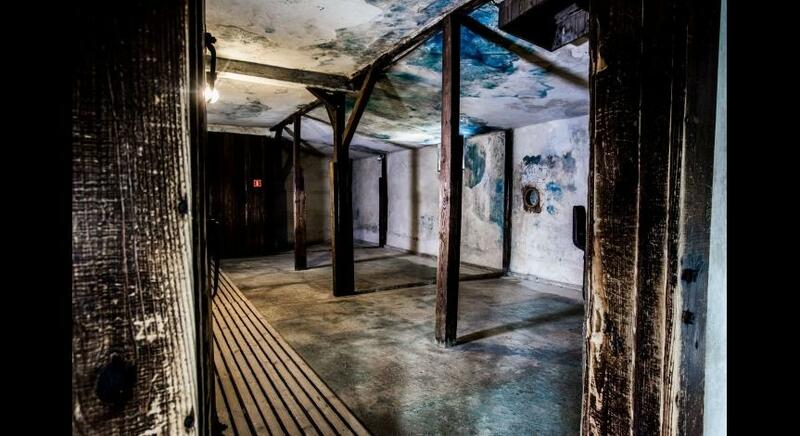 The gas chambers for the extermination of prisoners were built in a stone building - in a bunker, located at the rear of the bathhouse barracks No. 41, on the right side of the entrance to the camp. 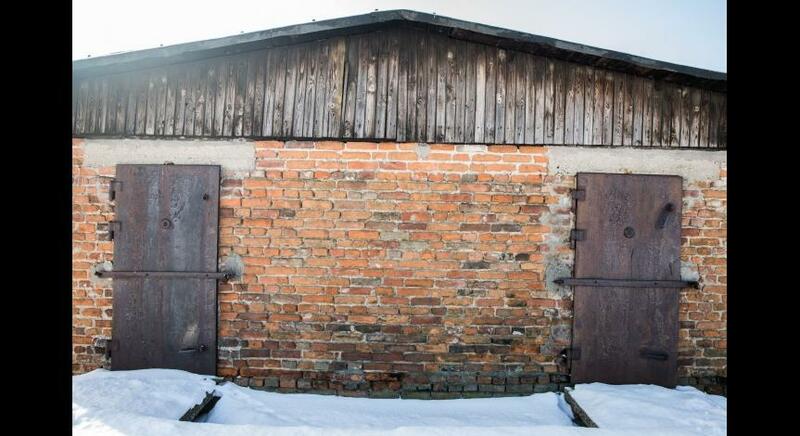 The Head of the Majdanek Technical Department, Friedrich Ruppert, described it as ‘a massive stone building of about 6x6 metres and approximately 2 metres high, with two doors, of which one was only opened when the place was aired. 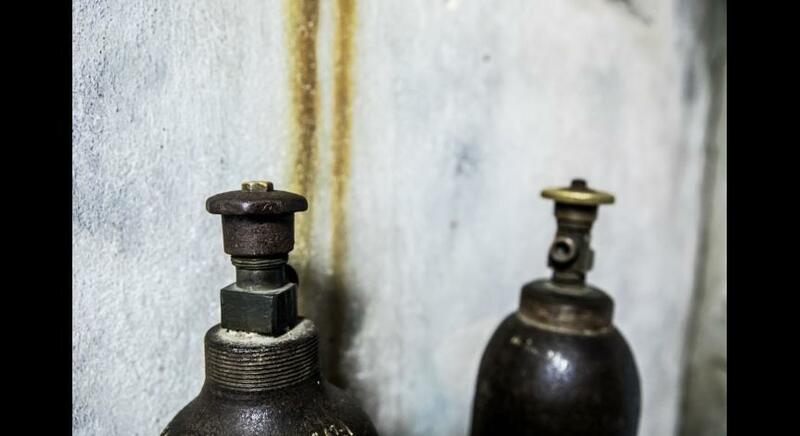 On the outside of the building was a little annex in which the gas-flask was stored’ [[Nbg. Doc. NO-1903, Affidavit of Friedrich W. Ruppert of 6 August 1945]. 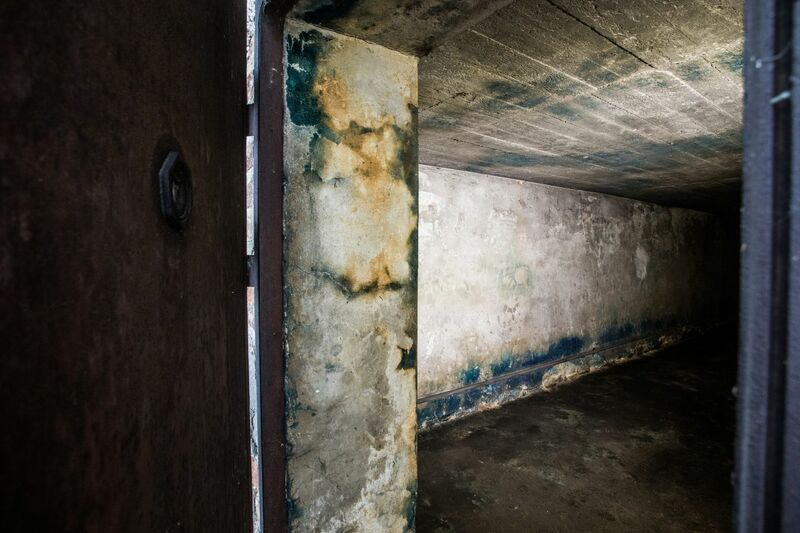 The gas chambers in this bunker were created by adapting plans for the construction of disinfection facilities. The first known such project dates from August 1942. 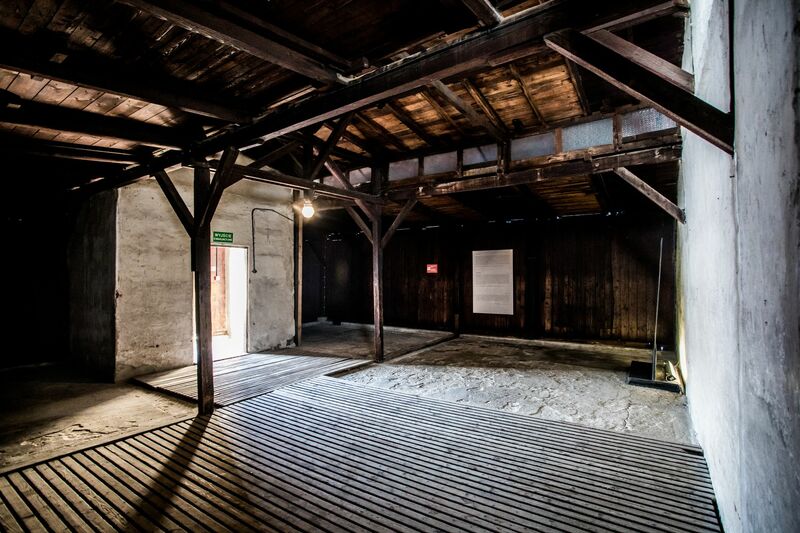 It is a faithful copy of the plans for the construction of disinfection facilities in the Textile Works in Dachau (Bekleidungswerke der Waffen-SS), dated 20 May 1942. 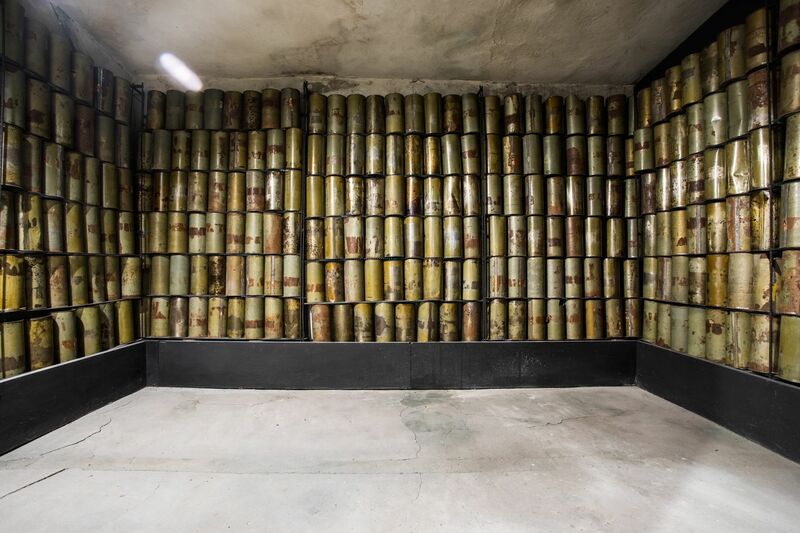 It called for the construction of a bunker with two chambers, each of which had two doors, and an annex, where furnaces were to be placed. 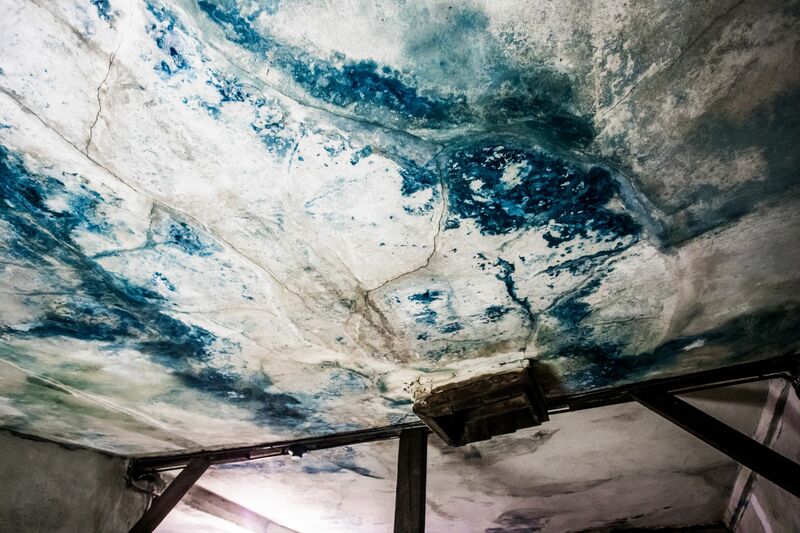 Above them, a protective roof was to be raised, supported on wooden stilts. 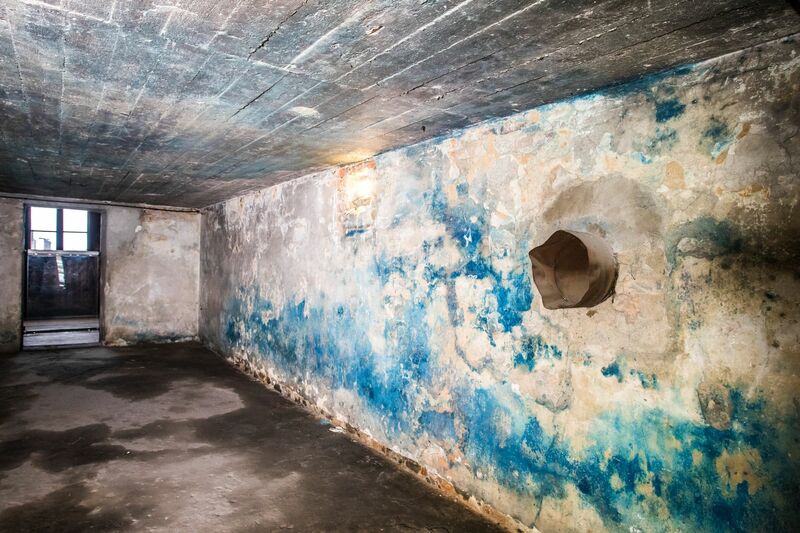 During the construction of the bunker, which probably lasted from August through to September 1942, several changes were made to the project relating to the decision to use these gas chambers for the purposes of extermination. 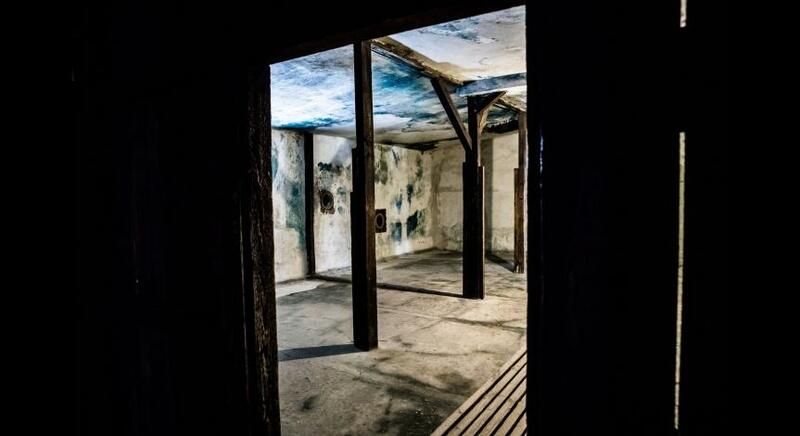 The chamber in the eastern part (on the side of the prison camp) was divided into two smaller rooms, one of which was adapted for the use of Zyklon B and carbon monoxide, while the other apparently remained unused since – unlike the first – no lighting was provided there and no evidence of iron cyanide compounds was detected after the war, which would have confirmed the use of Zyklon B. 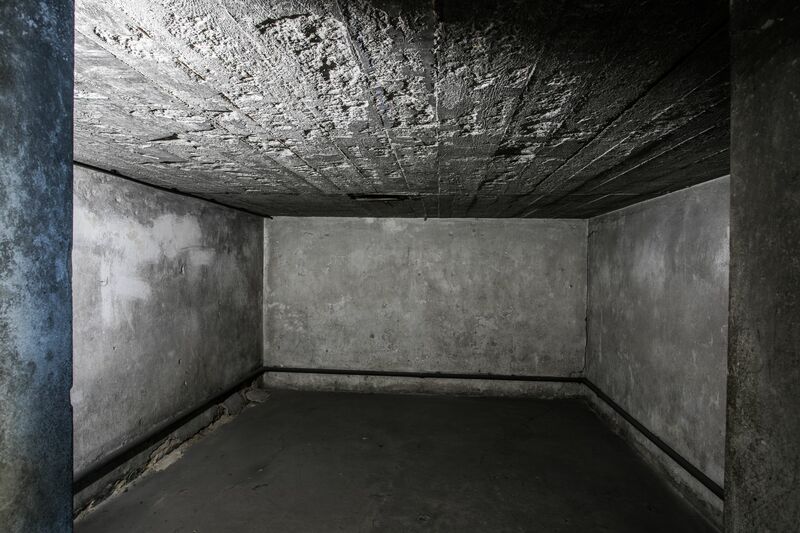 By contrast, the so-called large chamber, which adjoined the two aforementioned small chambers, was adapted solely for the use of carbon monoxide. 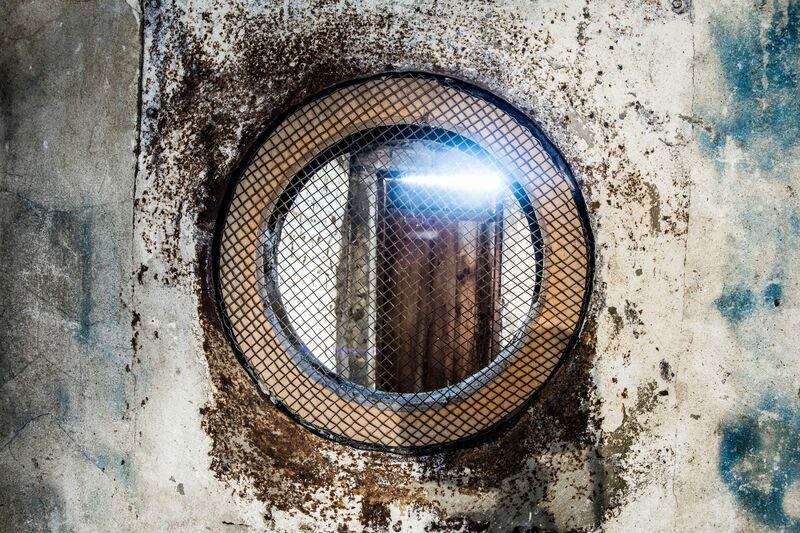 All chambers were equipped with hermetically sealed steel doors with glass viewers. 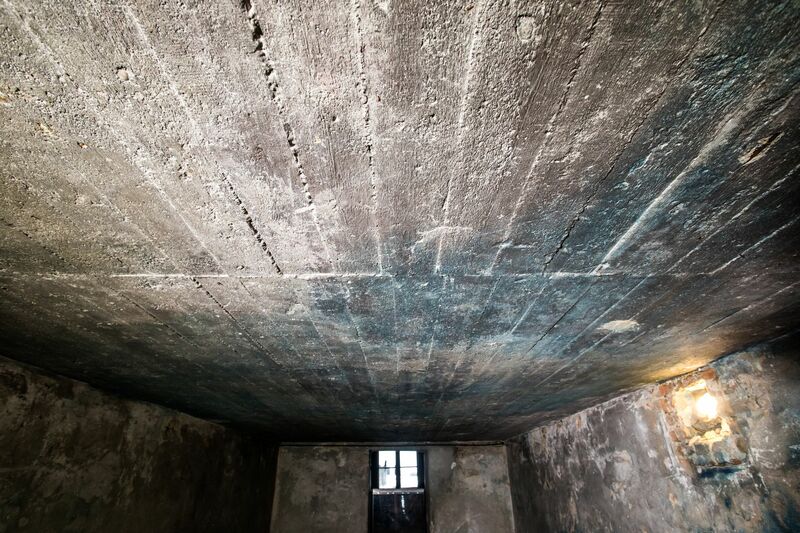 The lack of documentation concerning the construction of these chambers prevents us from finding out many important details. 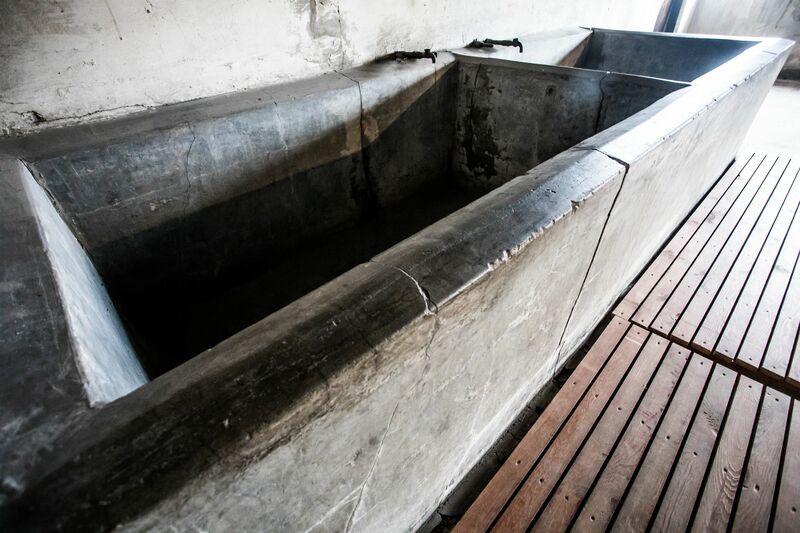 It is not known for example whether both chambers were ready at the same time. It should be assumed that they were opened in different periods. 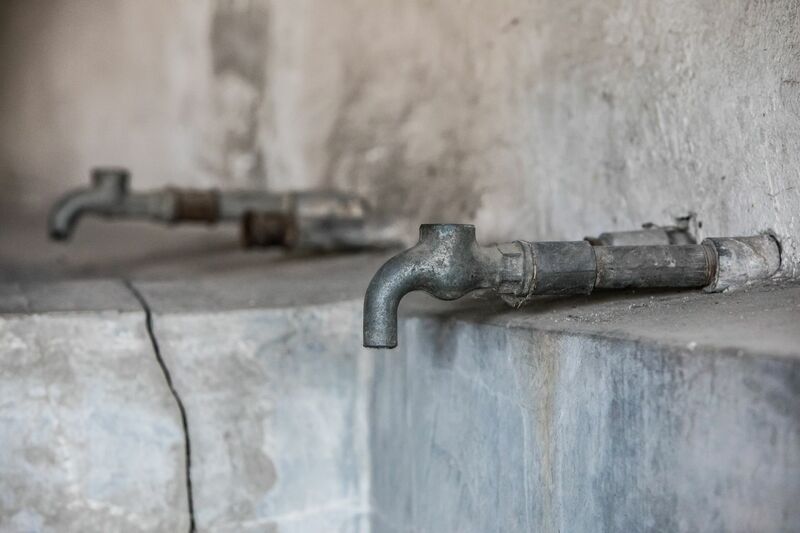 This is suggested by, among other things, different methods used to install piping systems in both chambers for the emission of carbon monoxide, and the provision of an opening for adding Zyklon B in only one of them. 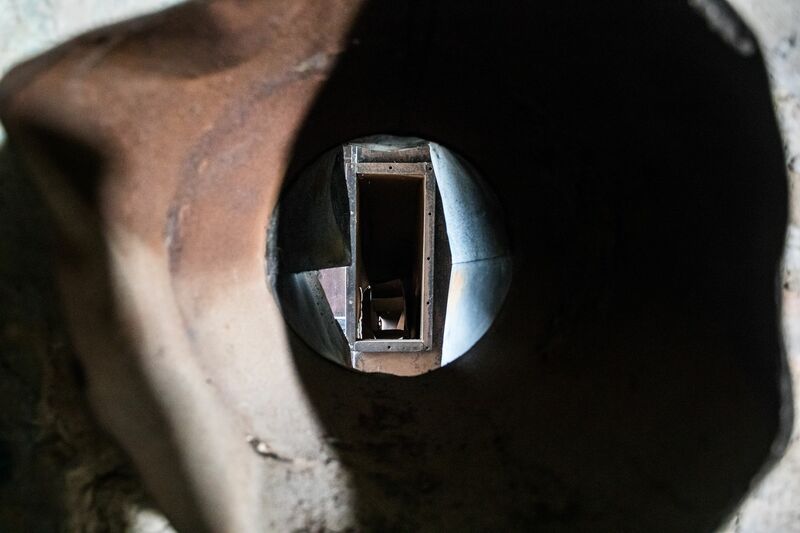 Additionally, not to be discounted, is the fact that the so-called SS men’s cabin - an annex containing steel bottles of carbon monoxide - was connected via a special window with only one, so-called small chamber. 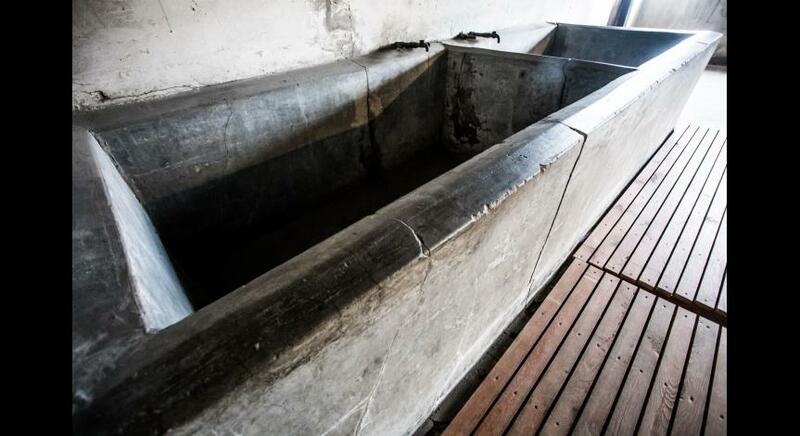 Also, testimonies of German Kapos working in the bathhouses indirectly indicate that the chambers were not built in the same period of time. 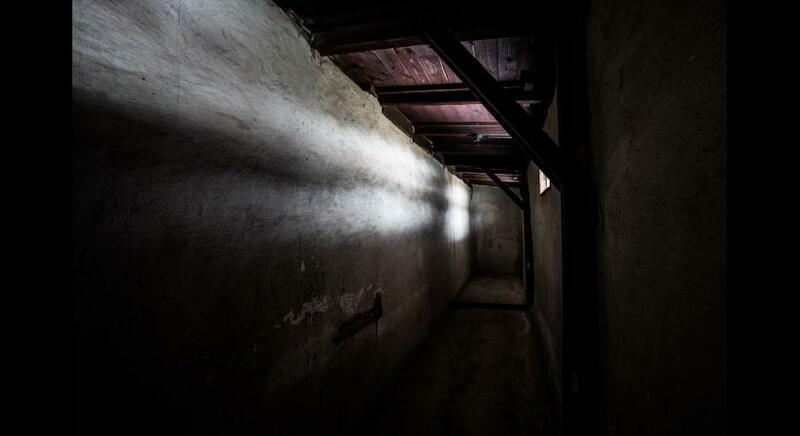 The gas chambers’ bunker dimensions were 10.7 x 8.8 x 2.4 metres and it was fenced off with barbed wire and a wooden fence. There was a gate in the fence on the south side, wide enough to allow a truck to enter. 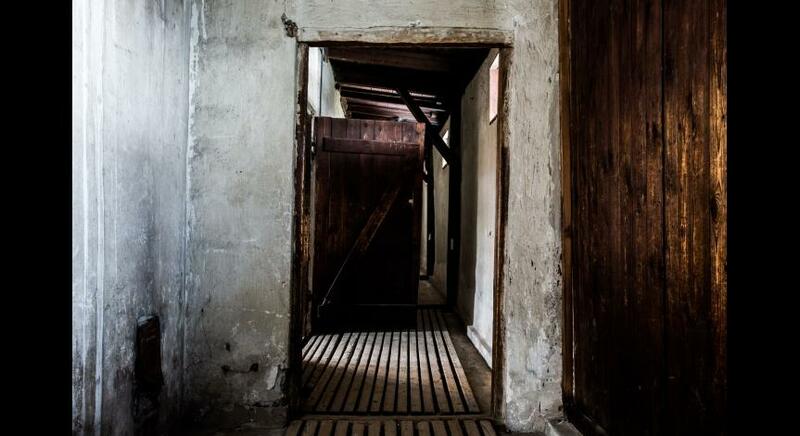 The exit from the female bathhouse (barracks No. 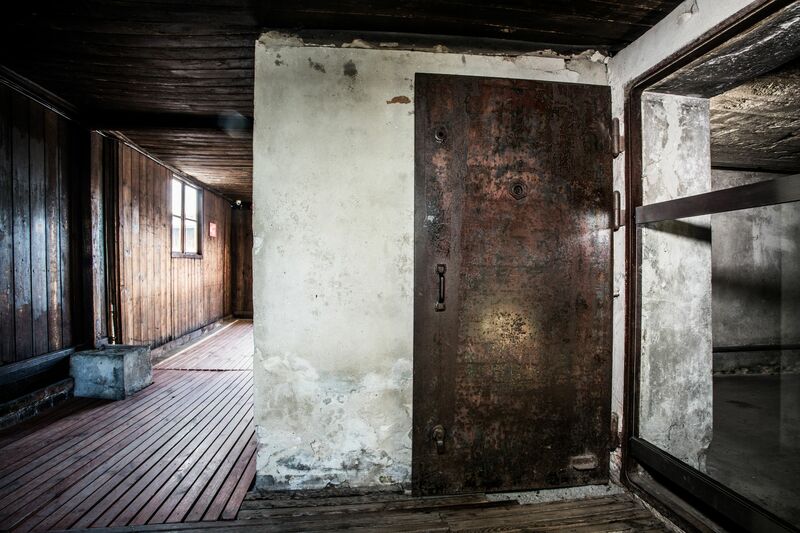 42) and the doors to both chambers in the bunker were connected by a 1.5-metre-wide wooden landing. 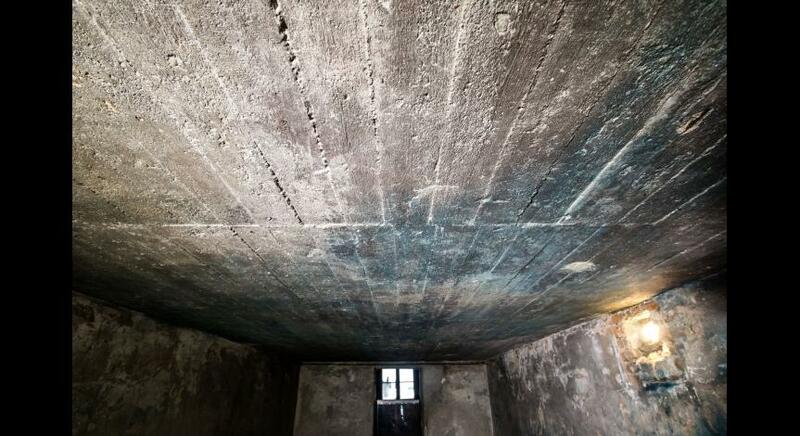 The bunker was sheltered under a roof (60 x 18 metres) supported by wooden stilts attached to concrete pedestals. 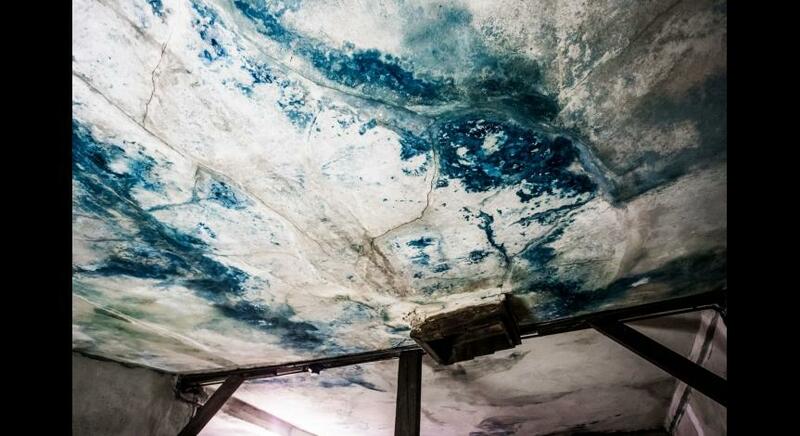 This was designed – as has already been mentioned – as part of the disinfection complex to protect disinfected clothing, spread out in open air, from the rain; this roof, however, also served as camouflage since, together with the fence, it successfully hid the chambers. 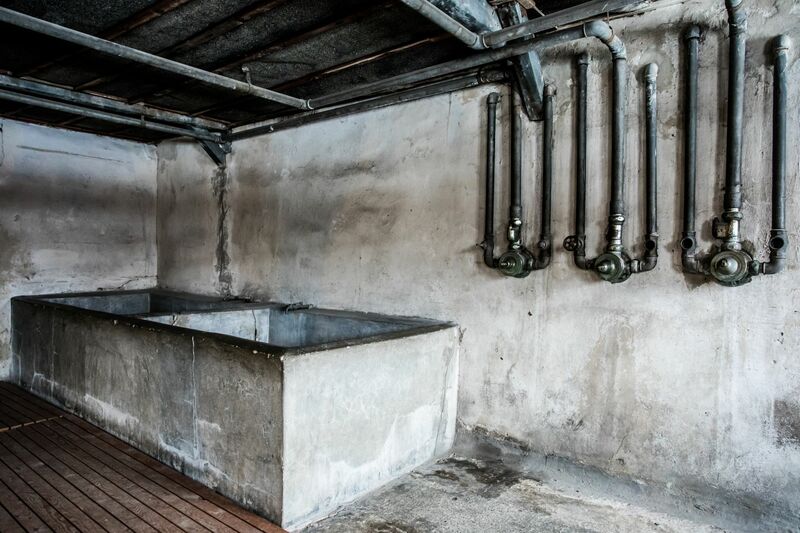 The bunker itself was not – as can be seen today –connected to the male bathhouse (barracks No. 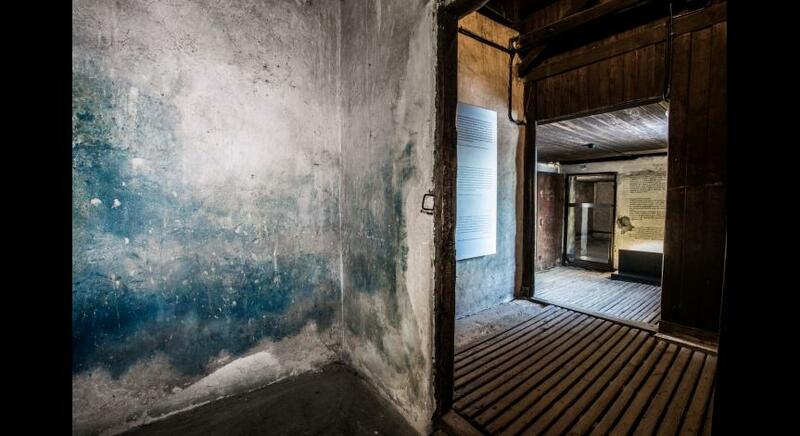 41) with wooden walls. They were erected after the war during repair and conservation work. 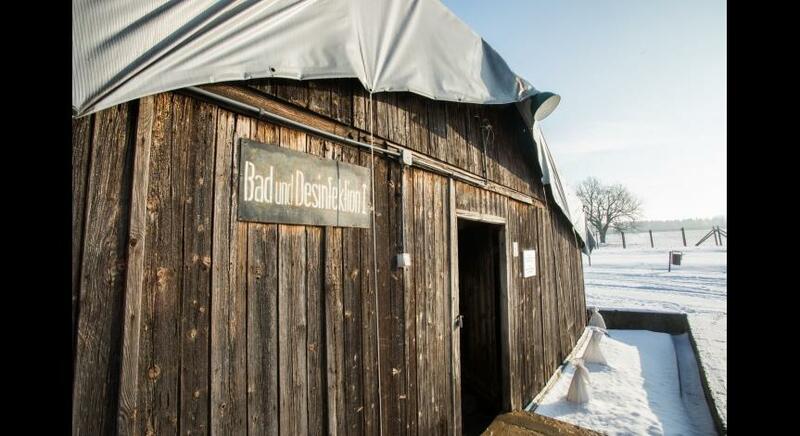 ‘In front of the bathhouse, on the right, there was a fenced building which resembled a bunker. It was approximately 8 by 10 metres in size. 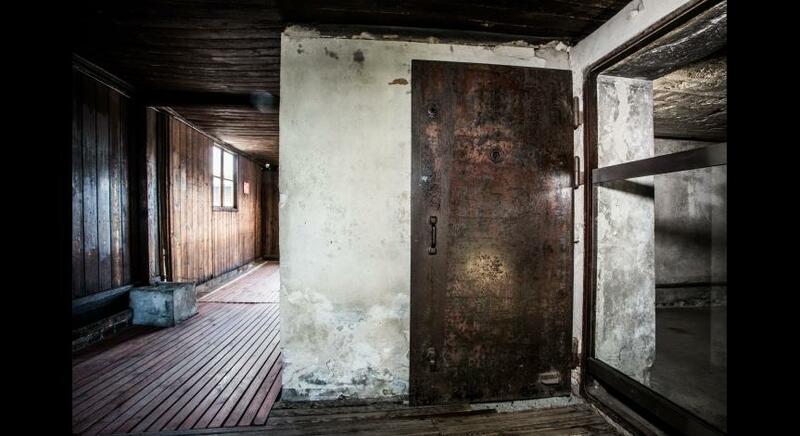 In August or September 1943, I went inside together with Benden. 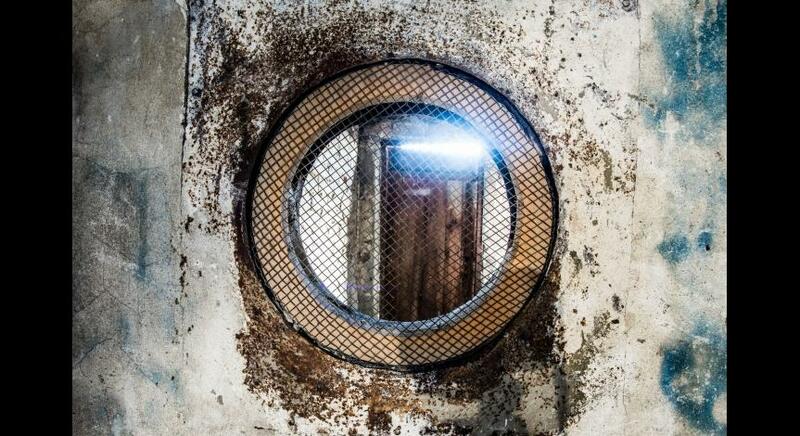 In the front, on the side of the entrance, there was a vestibule with equipment and a sight glass. 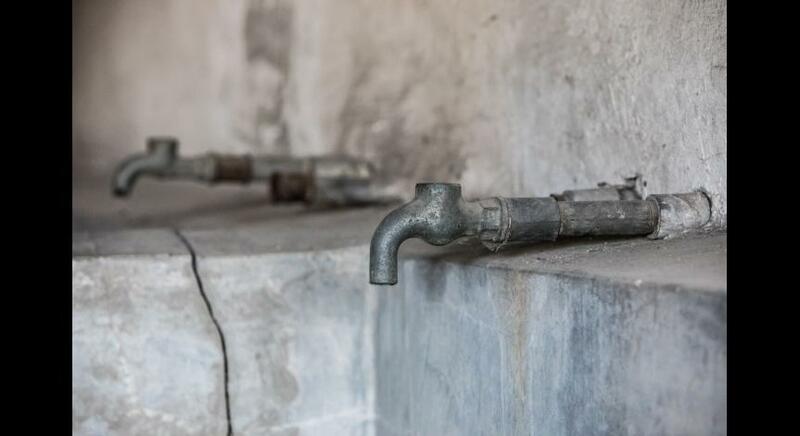 The equipment had bottle connectors, i.e. 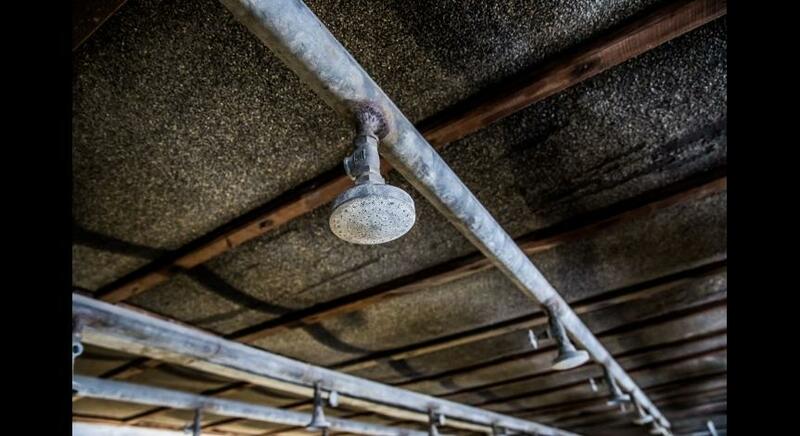 pipes with fittings which could be attached to something. 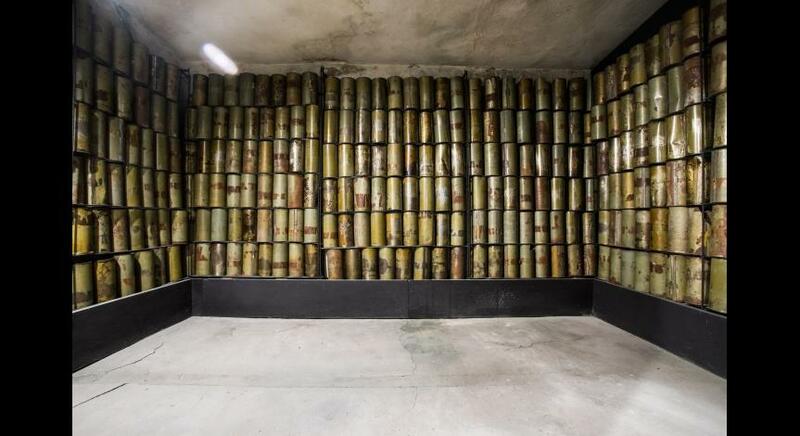 According to Benden, people were supposedly murdered with the contents of these bottles. 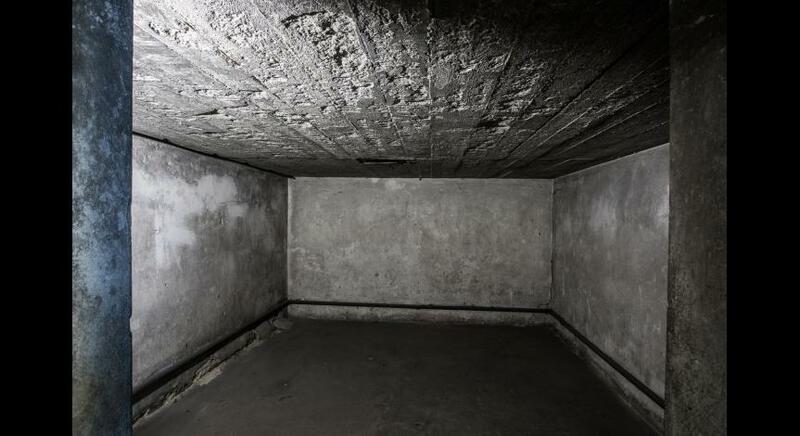 I did not go inside the gas chamber proper. 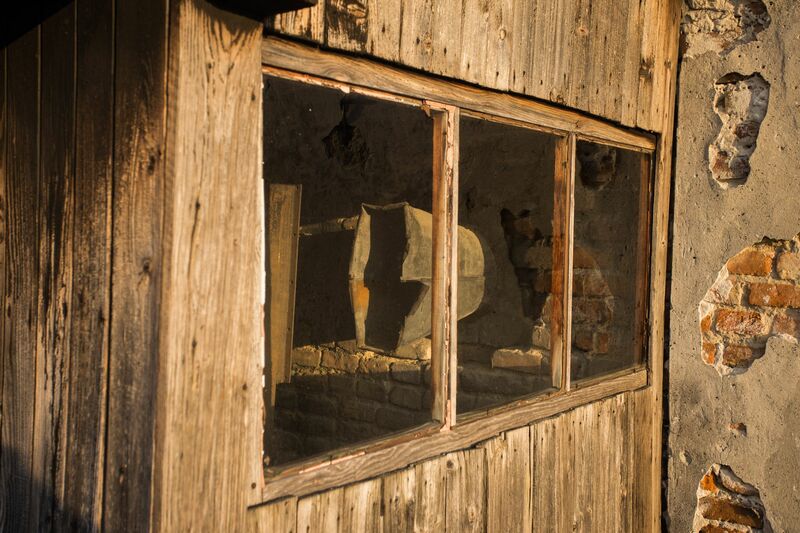 I only looked through the sight glass. 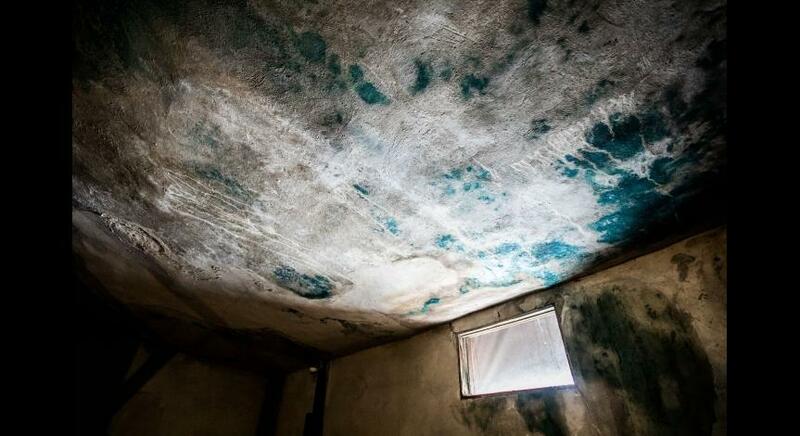 I did not notice any pipes or anything similar in that room. Because it was dark, I did not see any details. The fence around the building was already dismantled at that time. Earlier, it was called Rosengarten. 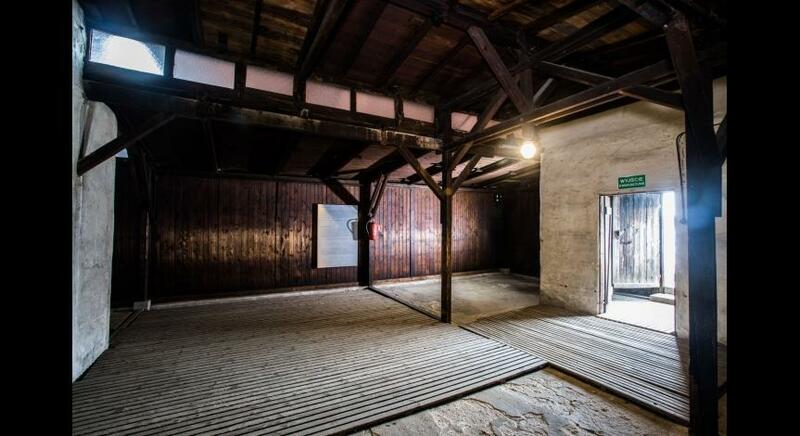 When I was there, only corner stilts stood there’ [Hauptstaatsarchiv Diisseldorf, Ger. Rep. 432, No 288, c. 43]. 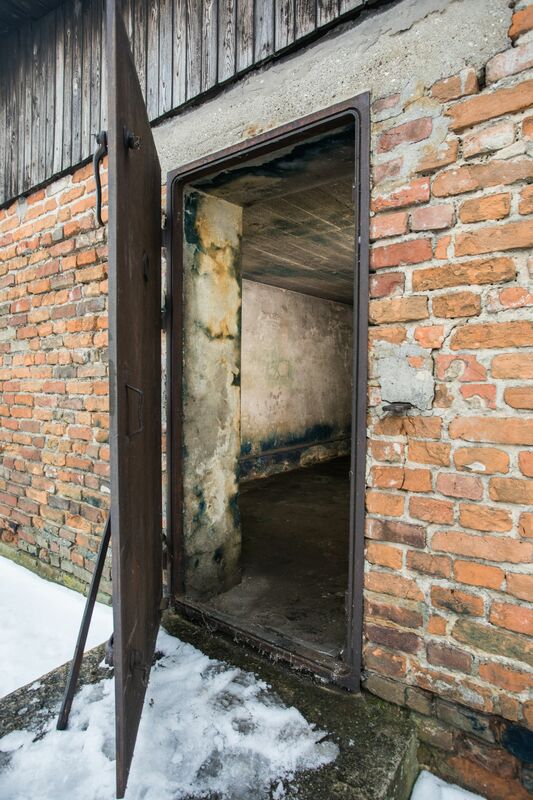 Little is known about the process of killing people with gas at the Majdanek camp; neither in technical terms nor with regard to the organization of the extermination procedure. 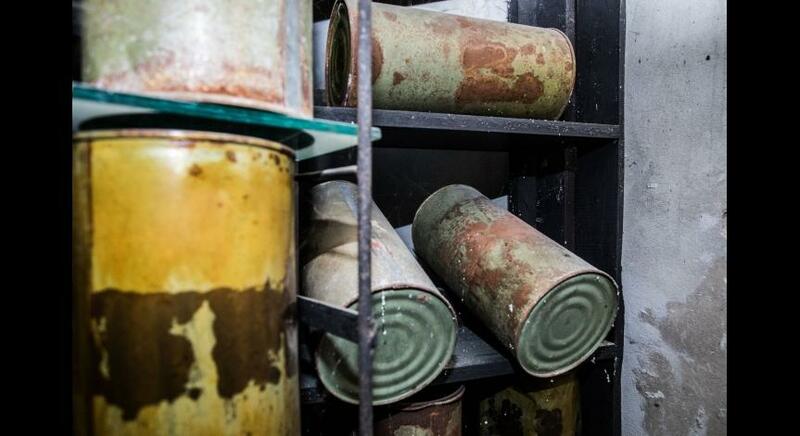 Based on the few source accounts, we can conclude that two substances were used for killing: carbon monoxide (CO), in gas form, delivered to the camp in steel bottles, and Zyklon B, distributed in cans, consisting of diatomaceous earth infused with hydrocyanic acid. One member of the SS personnel supposedly witnessed a conversation between two SS noncommissioned officers who wondered which method of gas application was better: ‘dropping or injecting’ [40 Bundesarchiv Aufienstelle Ludwigsburg, Barch, B162/407 AR-Z 297/60, Erhard Taubert, Witness interrogation protocol, vol. 26, c. 5353]. 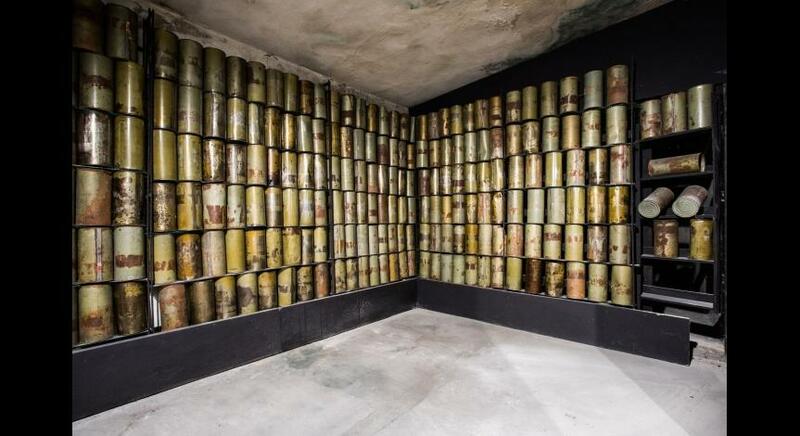 It is nearly certain that, in 1942, only carbon monoxide was used for killing in gas chambers and it most likely also remained the main agent used for extermination later on. 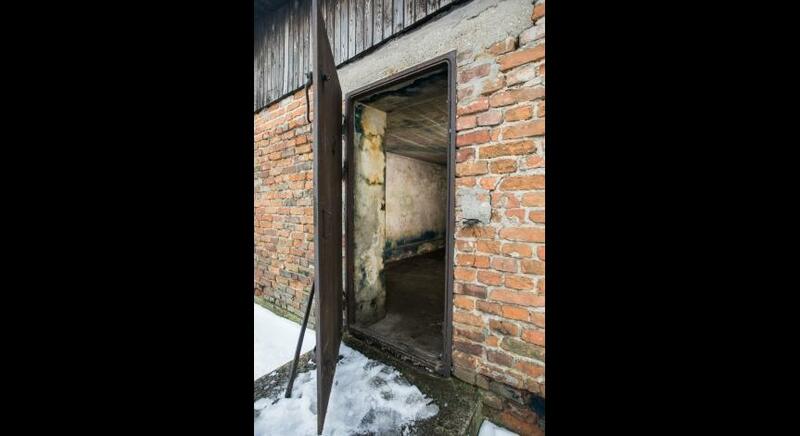 It is very difficult to determine when extermination in gas chambers at Majdanek initially began. Some accounts mention mid-1942. 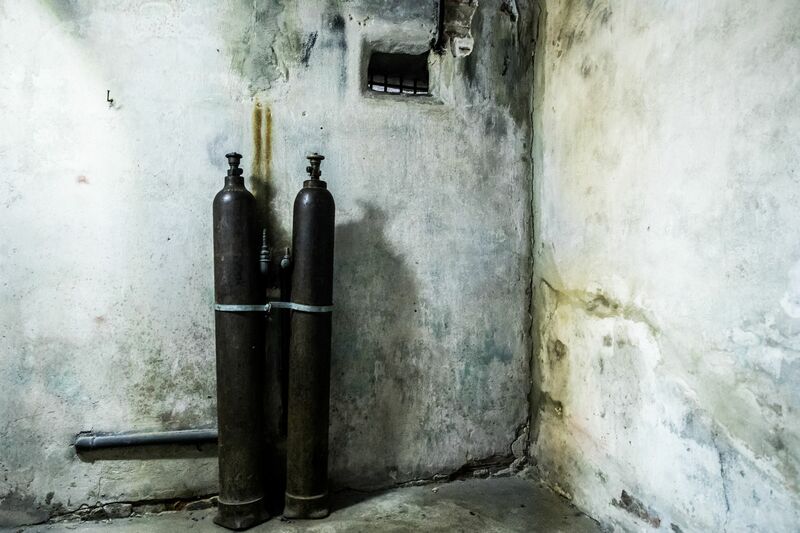 It is, however, most probable that the first gas executions took place in September 1942, after the construction of the chambers’ bunker. 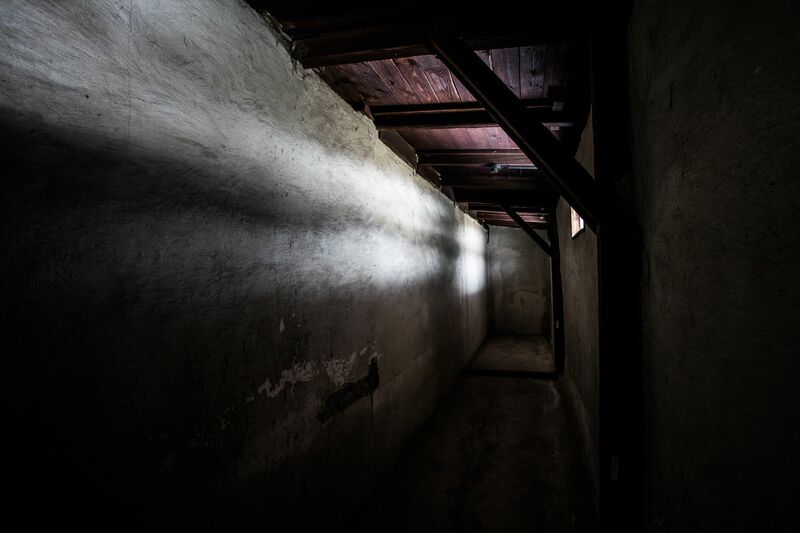 This is suggested by the testimony of a German prisoner, who worked at the bathhouses during that time, and indirectly by other reports stating that, at the end of August-beginning of September, sick prisoners were still being taken from the camp hospital and shot in the Krępiec forest. 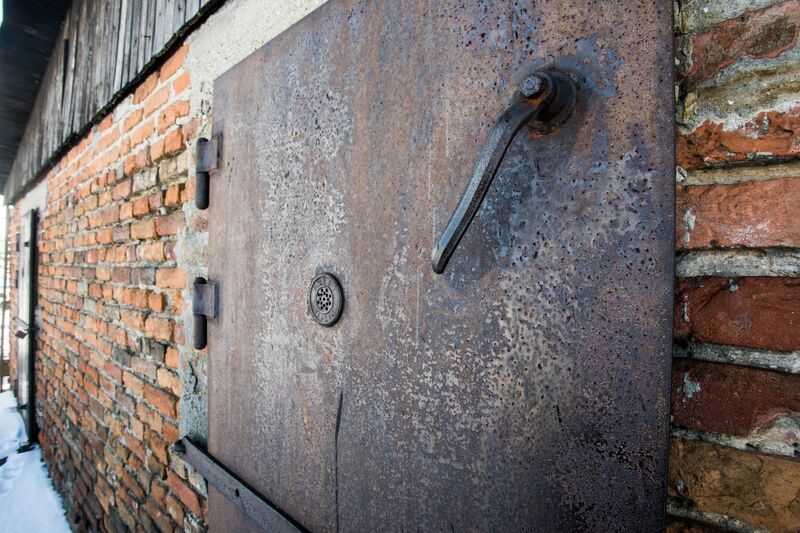 Extermination in the gas chambers increased as Jews started arriving at the camp from liquidated ghettoes in Lublin County. 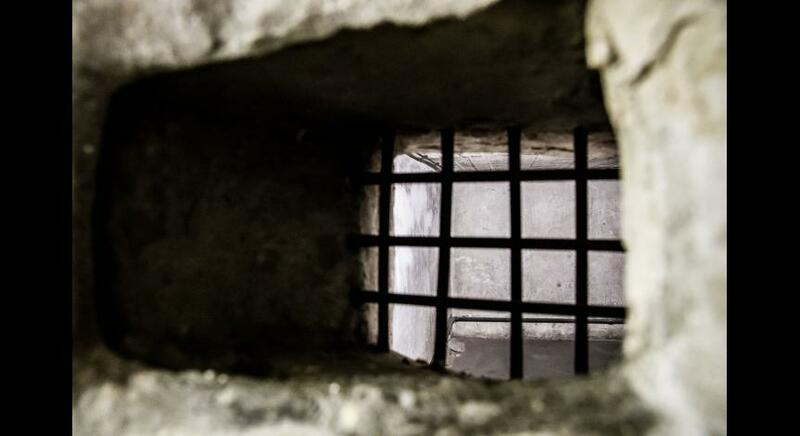 A portion of deportees were murdered without ever being entered onto prison records. 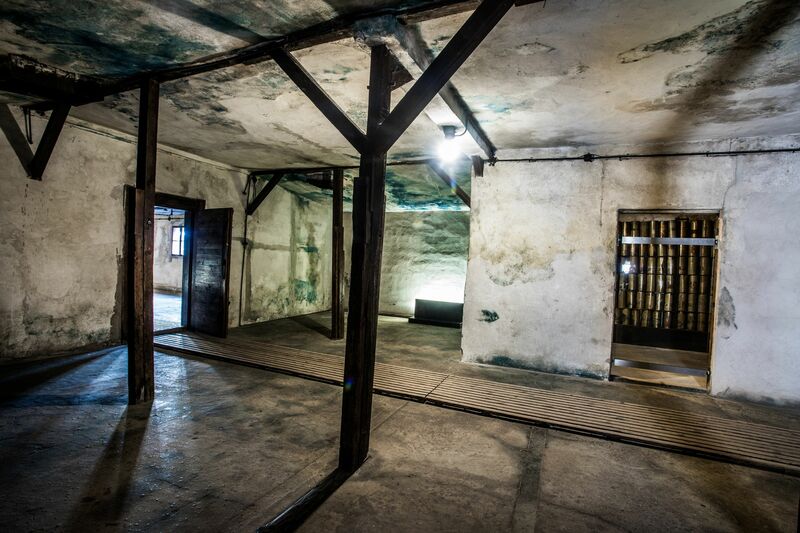 In addition, from autumn 1942, Jews from the camp at Lipowa street, and Jewish women selected at the camp on the Flugplatz, were brought to the Majdanek camp for execution. 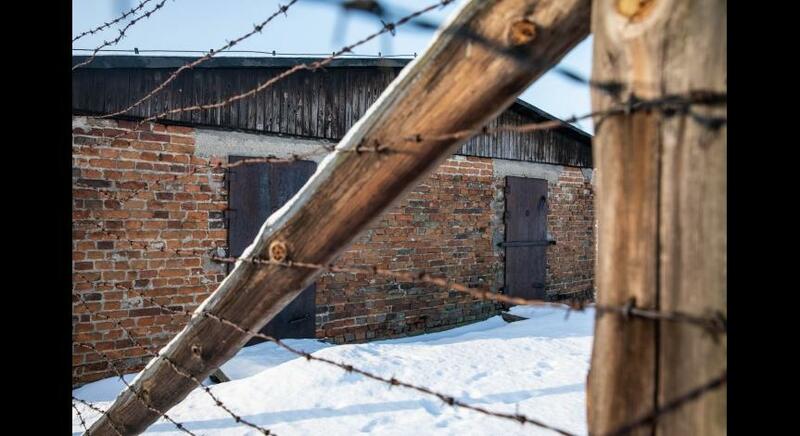 In the first months of 1943, as has already been stated, sick prisoners were the predominant group murdered in gas chambers, while from the spring, the victims of selections now included Jewish deportees to the camp. 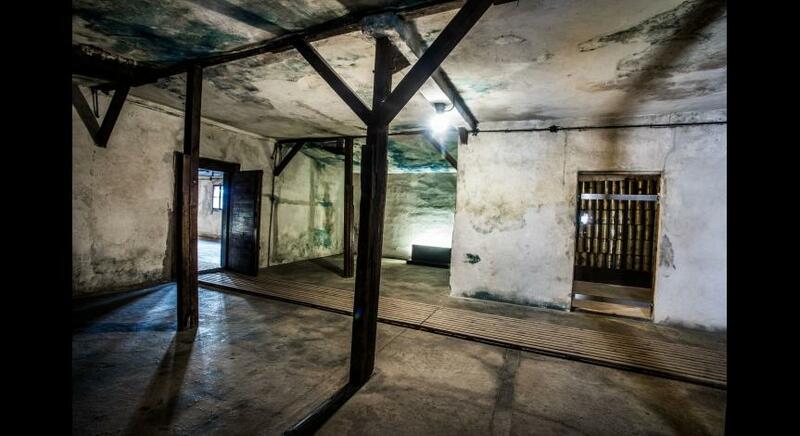 At the end of August, several dozen members of the Sonderkommando KL Auschwitz were murdered in Majdanek’s chambers. 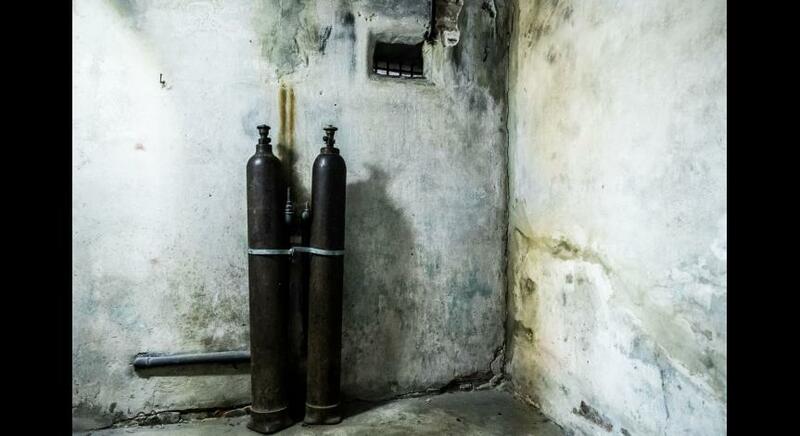 Murdering people by gassing at Lublin concentration camp most probably lasted until the first days of September 1943. 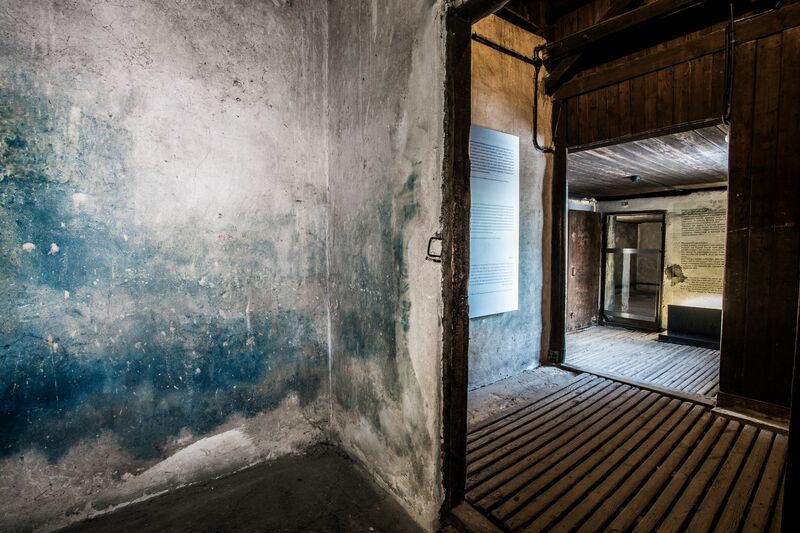 At the beginning of this month, during the transfer of women from field V to field I, some sick Jews from the male sick room and 300 children from Białystok ghetto aged six and under were gassed. The end of gassings around that time is confirmed by information included in reports of the camp resistance. 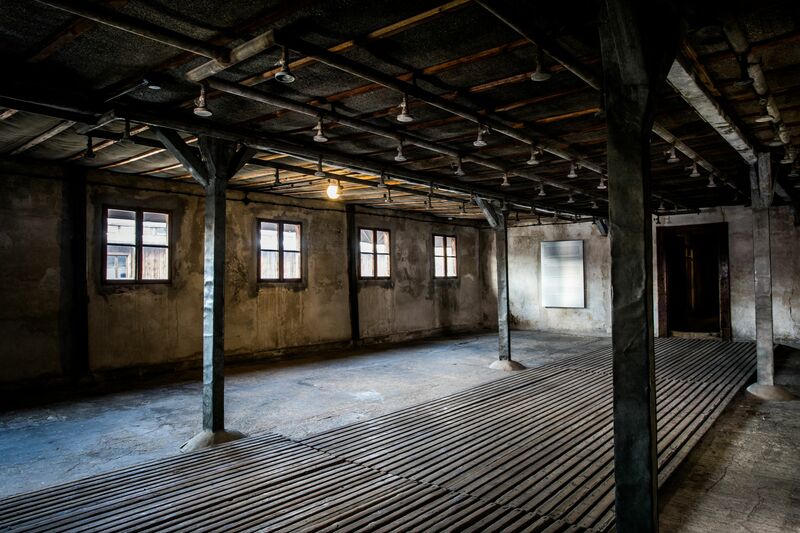 A report dated 16 October 1943, states that the ‘liquidation of Jews is not taking place since for the last six weeks there have been no selections of Jews for gassing’ [APMM, ‘Opus’, XII—9, Reports on Majdanek prisoners for the period from August 1943 until April 1944, p. 17]. Jakob Sporrenberg, SS and Police Leader in the Lublin District, who visited KL Lublin after Globocnik’s transfer to Trieste in late September 1943, testified, after the war, that camp commandant Hermann Florstedt showed him disinfection chambers claiming that they were mistakenly regarded as gas chambers. 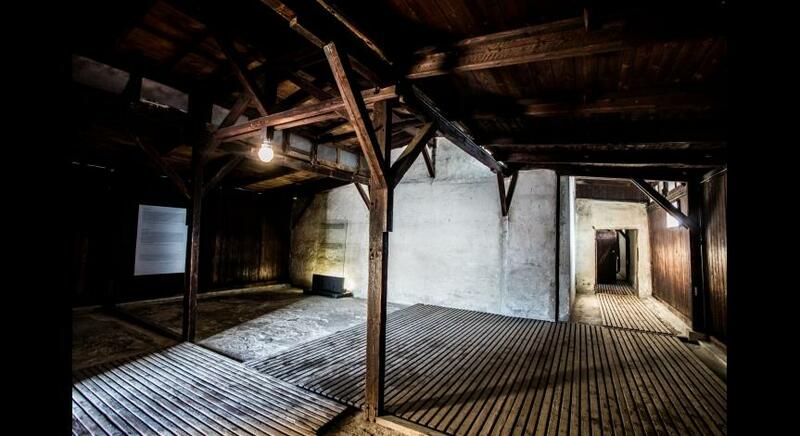 Sporrenberg, himself, was aware, though, that mass extermination had been carried out in Majdanek’s chambers. 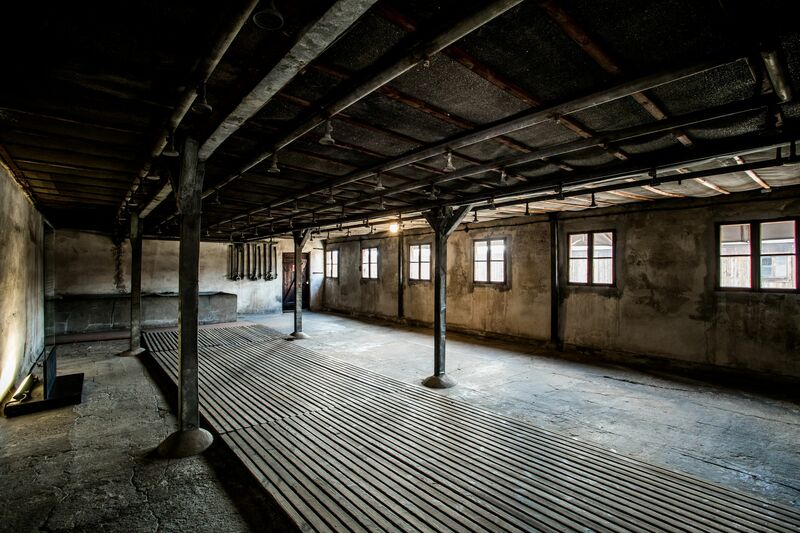 ‘After a few days, they put me in a work group disinfecting the clothes of Jews. Sixteen of us worked in that group. 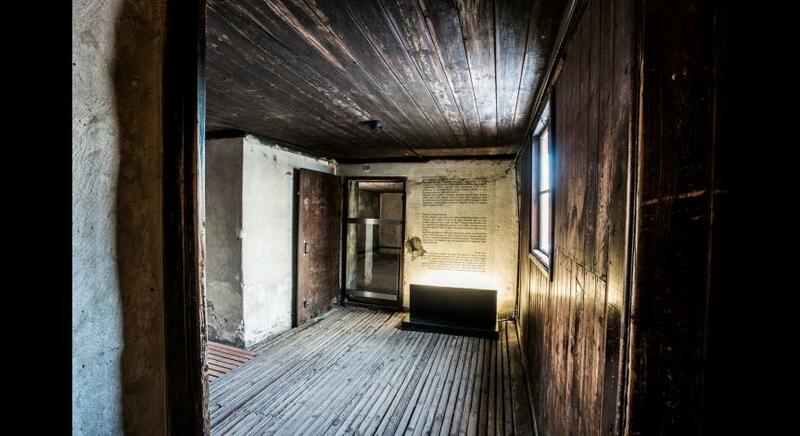 Clothes of murdered Jews were brought from field V to the gas chamber (gas room) next to the bathhouse. 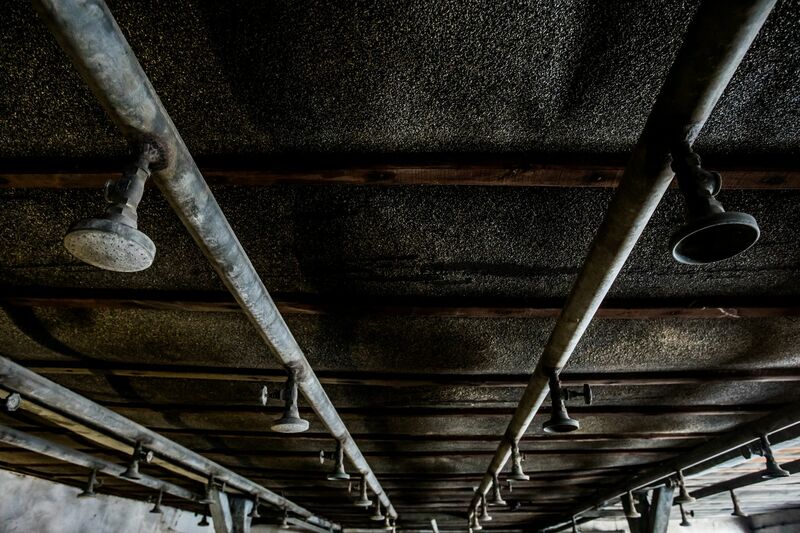 In the very place where Germans used to poison people with Zyklon; we hung the clothes on hooks, not all, only those in good condition and of high quality. 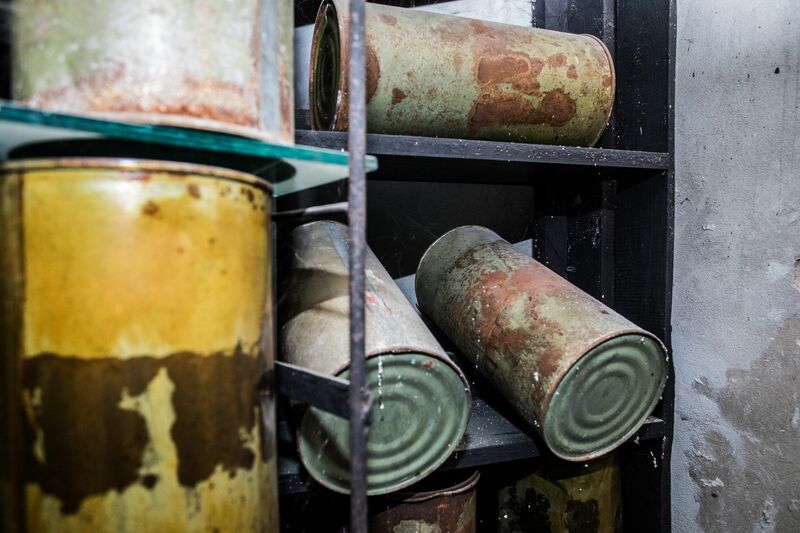 After hanging the clothes, we prepared the gas chamber doors for closing, one of us received a can of Zyklon, put it on the floor placing a piece of metal pipe, 6-8 cm in diameter, upside down. Another one took a very heavy hammer and hit it, punching a hole in the Zyklon can - you then had to quickly take the can in hand, spill its contents in one swing and immediately run, because staying there even a few seconds longer could cause death’ [APMM, Memoirs and reports, VII—131, Henryk Nieścior, pp. 1 Iff]. 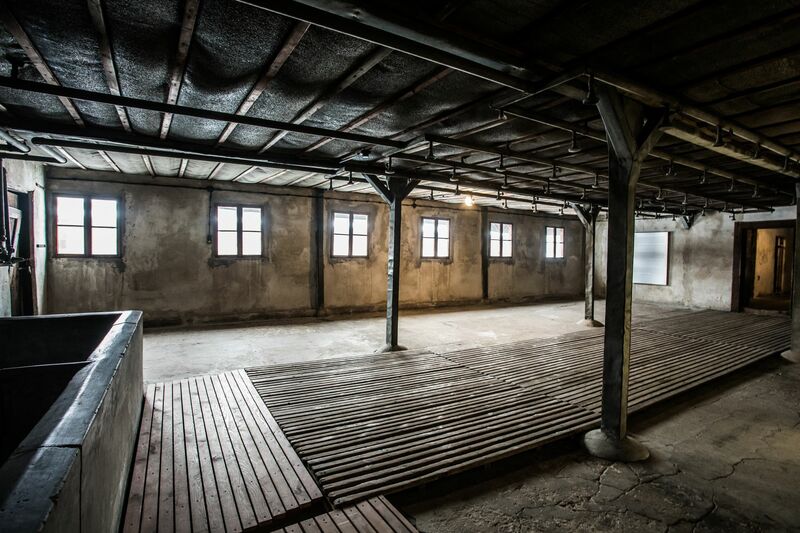 ‘Standing in front of Effektenkammer [the barracks for confiscated prisoner property], I often observed prisoners led to the bathhouse. 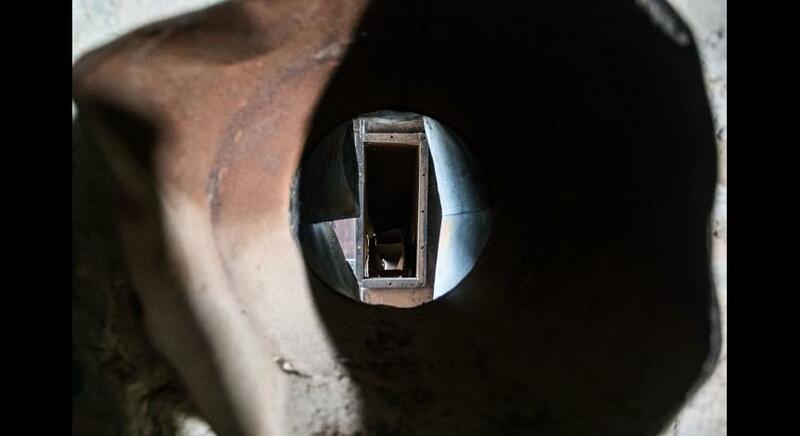 There was a chimney-shaped opening on the roof. 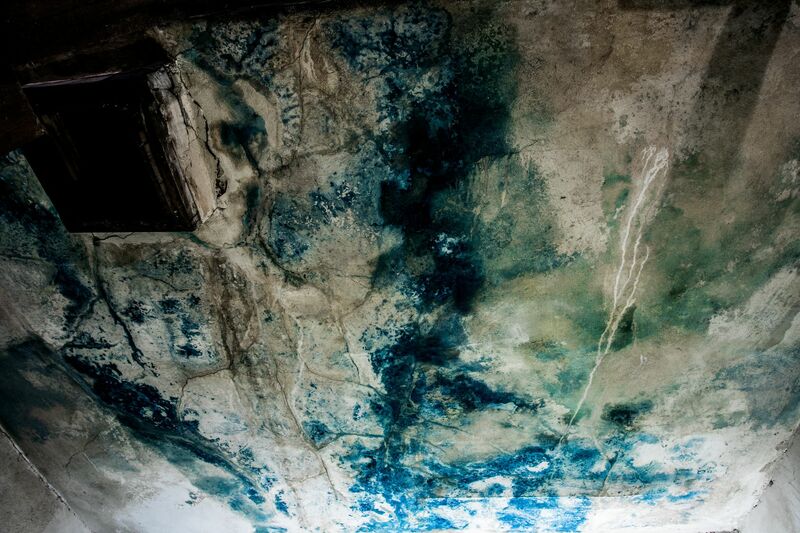 An orderly came with a ladder, propped it against the barracks, and climbed to the roof. He spilled something from a can into the chimney. Later, I saw naked bodies being carried out of the barracks and loaded onto a wooden wagon’ [BAL, Barch B162/407 AR-Z 297/60, Rudolf Ettrich, Witness interrogation protocol, vol. 20. c. 4182]. 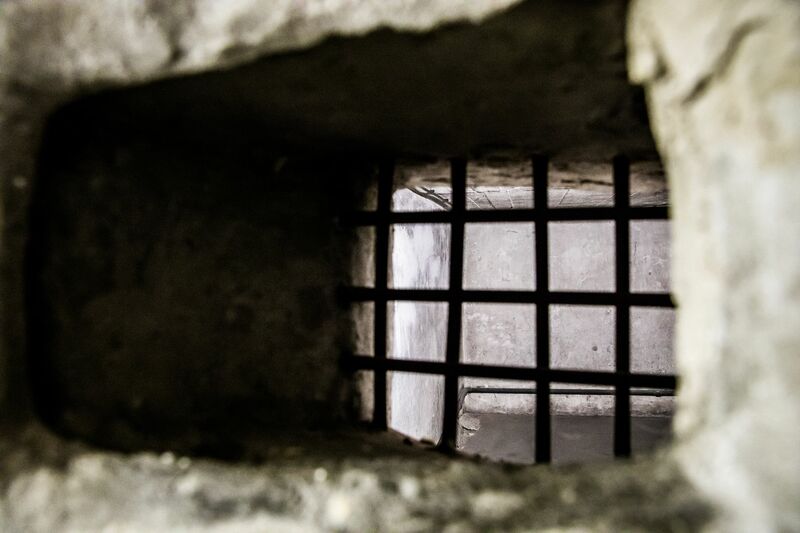 Camp prisoners usually had no opportunity to closely observe what happened around the chambers, least of all within the chambers themselves. 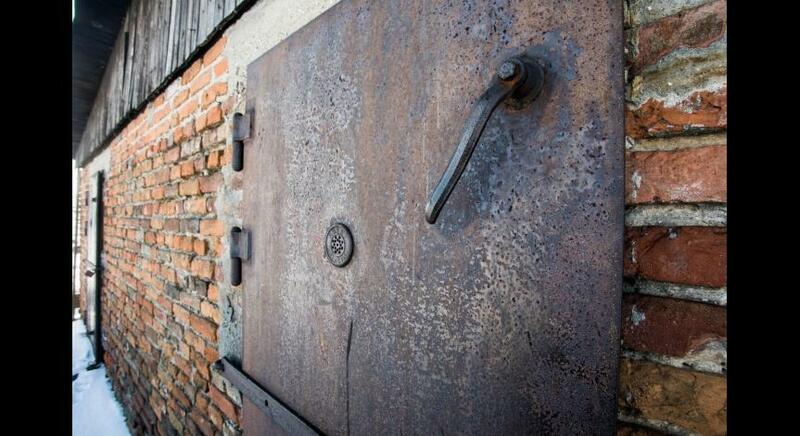 The Majdanek authorities tried to keep the gassings of people a secret. 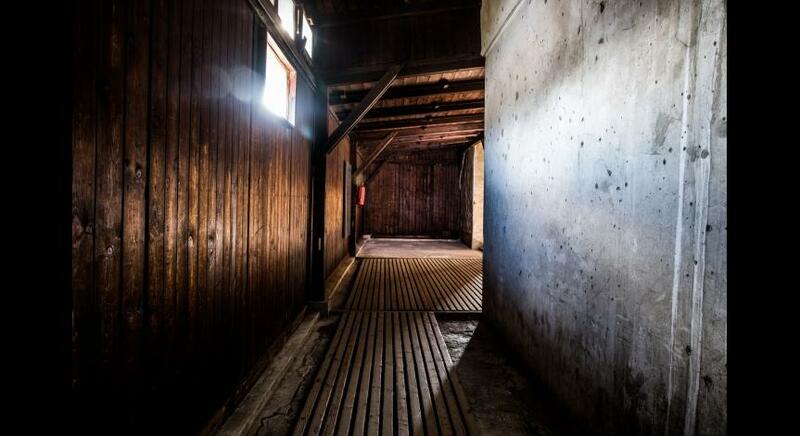 In an attempt to maintain secrecy, they typically took place in the evening or at night and during the execution, a tractor or truck engine was kept running to drown out the screams of the murdered people. A Polish female prisoner who was employed in the tailor shop, situated near the road leading from the prison fields to the bathhouses and gas chambers, recalls: ‘I remember that when I worked the night shift at the tailor shop, the Germans drowned out the screams of gassed people with a working tractor, which was kept running at the time’ [APMM, Memoirs and reports, VII-296, Maria Bohdanowicz, Witness interrogation protocol, p. 2]. ‘The cadavers looked horrible. Men, women, children, all of them naked, with tangled hands. Women, perhaps mothers, held children by their necks or hugged them. 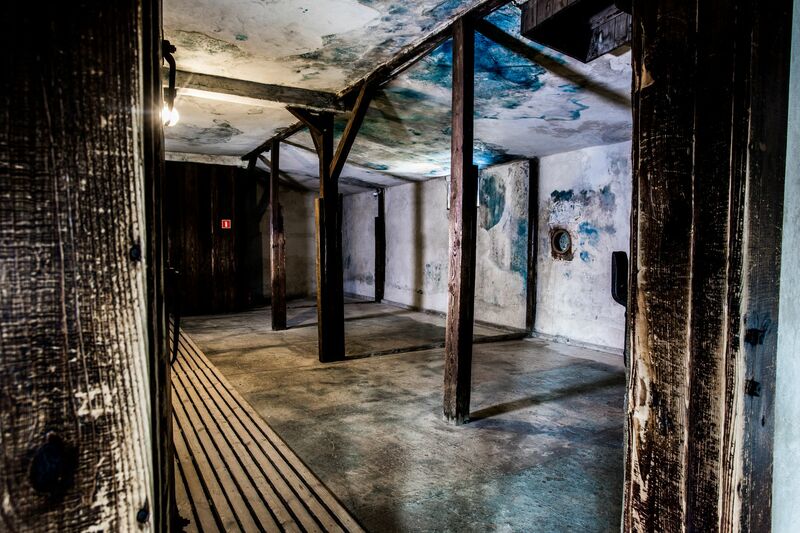 [...] The cadavers were inside the gas chamber, from which gas was still leaking out’ [APMM, Memoirs and reports, VII-409, Zygmunt Godlewski, Witness interrogation protocol, p. 3]. 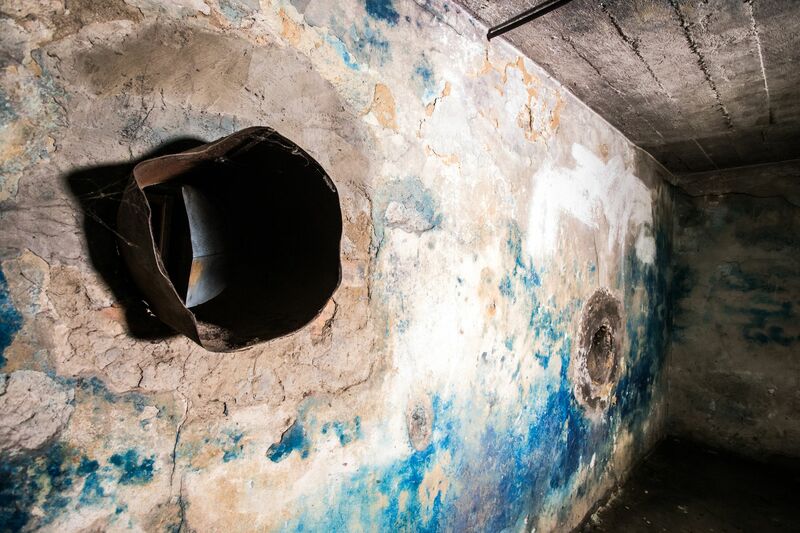 ‘The gas chamber, located opposite the entrance to field I, was used once a day. 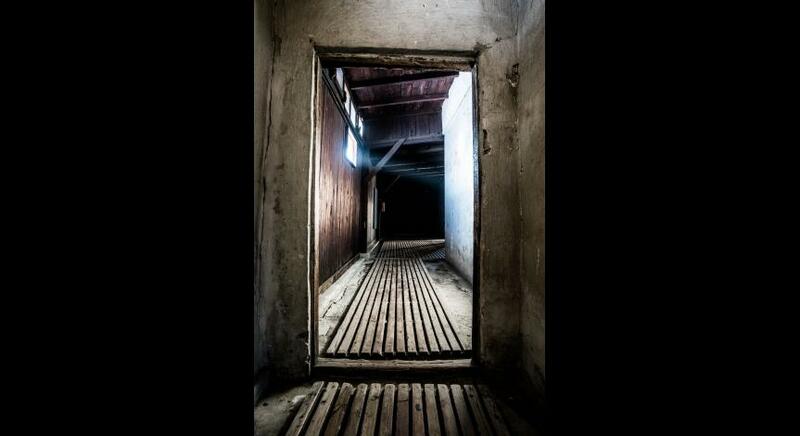 The bodies of gassed people were loaded onto car trailers at night and taken away with a tractor to the crematorium. 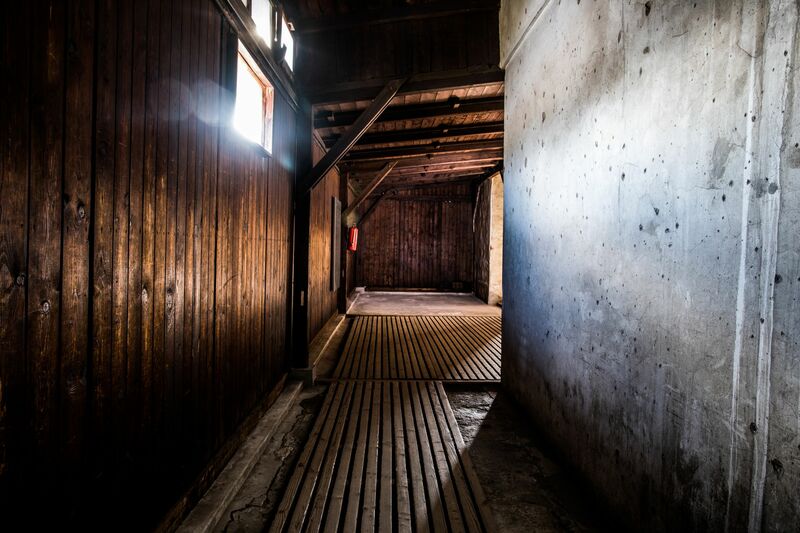 Every time tractors ran around the camp at night, it was known that gassing had taken place that day’ [Kwiatkowski, “Oskarżam,” pp. 409ff]. 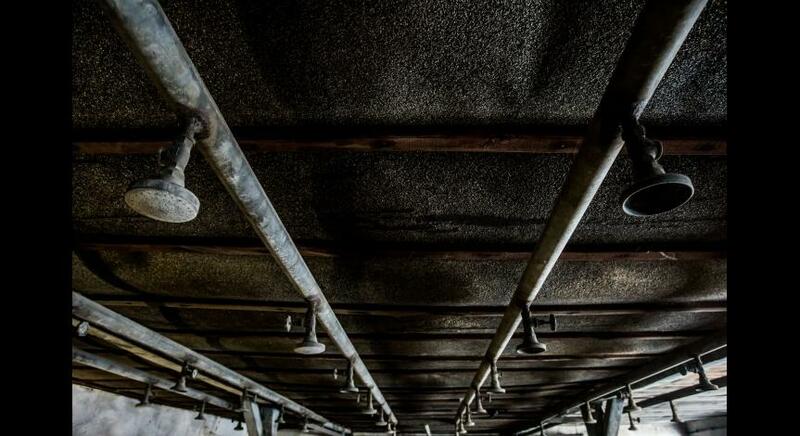 ‘One of the most macabre sights, witnessed almost every day, especially the day after transports had arrived at the camp, was the sight of a tractor towing a trailer filled with the bodies of people who had arrived the day before. Those bodies were covered with quilts but sometimes the wind blew up a part of the cover or one could see a victim’s limb sticking out from under it. The tractor ran its route 3-4 times a day, leaving the camp gate and driving in the direction of Kazimierzówka [the Krępiec woods]. But even the tightly covered trailer betrayed its contents because the entire load was «moving» - «swaying» during the ride as the tractor moved jerkily up the hill. 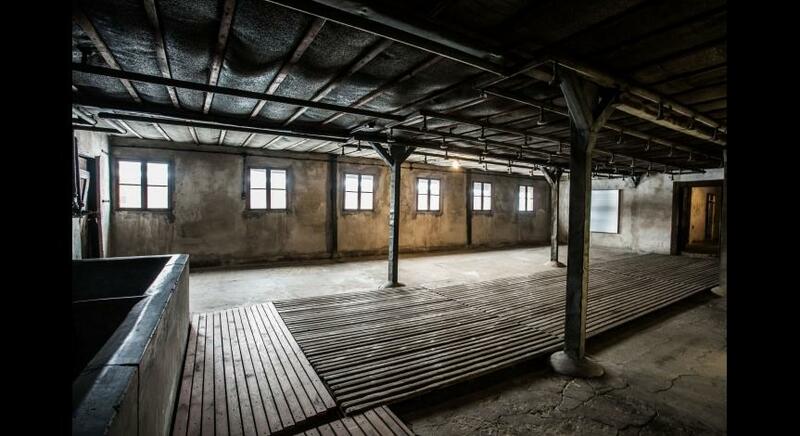 In this way, the Nazis were getting rid of the proof of their crimes; whatever they were not able to burn in the camp crematorium, they took out to the nearby forest’ [APMM, Memoirs and reports, VII—917, Adolf Górski: Moje wspomnienia z obozu koncentracyjnego Majdanek, p. 6]. ‘We could clearly see before us a small, fenced square, with some buildings standing on the left. In front of them, there was a huge fire surrounded by a small embankment. Billows of grey and black smoke rose from the fire, blown by the wind in various directions. 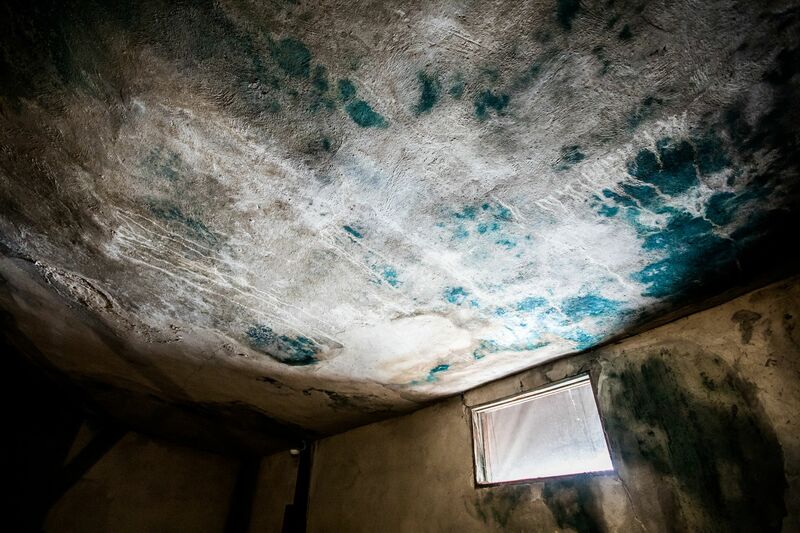 We were struck with the burning odour, which gagged us. A pile of several hundred bodies lay to the right of the fire. 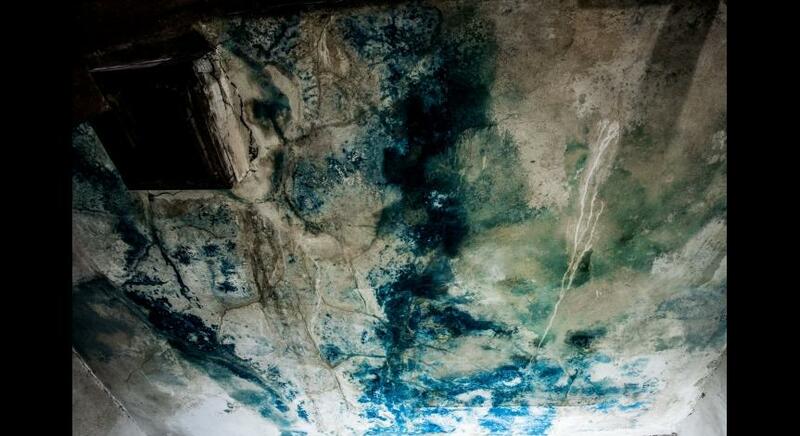 We clearly saw emaciated human bodies, bruised and twisted, sometimes totally black, probably due to beatings or hematoma. 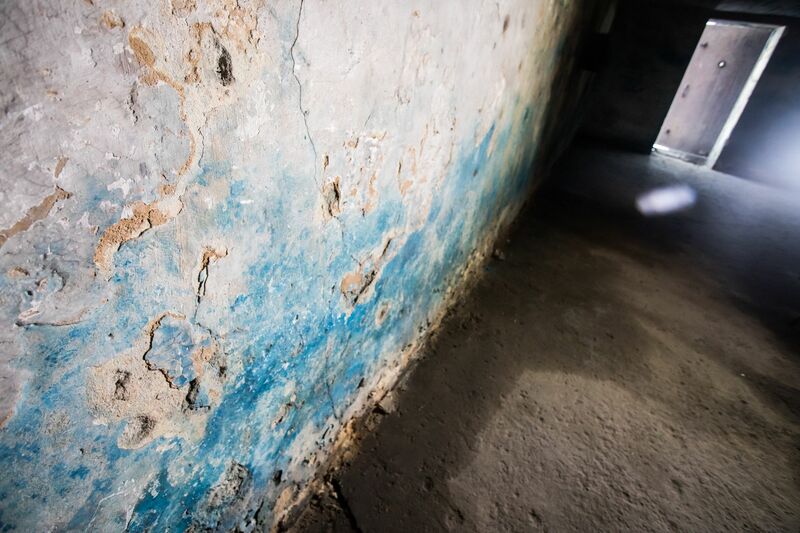 Bodies were lying in various directions, men mixed with women and children. Two men, pulling by hands and legs, picked up a body from the pile and, swinging it, threw it to two other men, standing on the embankment by the fire’ [APMM, Memoirs and reports, VII-643, Natan Żelechower, p. 25]. Before burning the corpses, the crematorium commando removed any gold from the teeth, and, as testified by crematorium head Erich Mußfeld, cut the hair from the heads of gassed women. 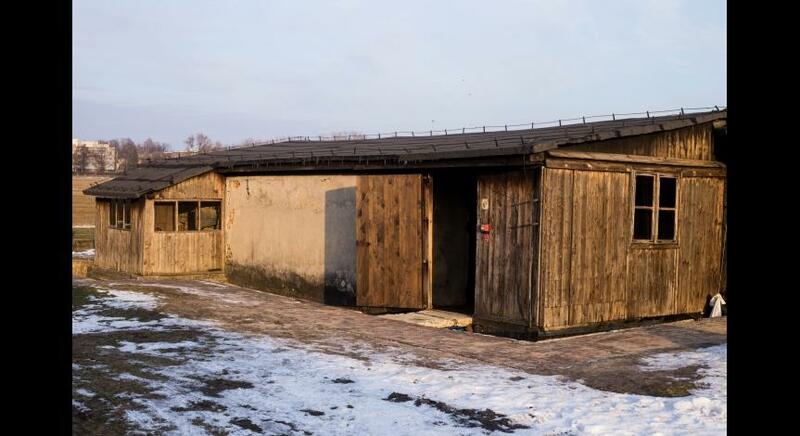 A portion of the corpses of those who died or were murdered at Majdanek were burnt in crematoria: initially in the old crematorium on Interfield I which functioned for a few months in 1942, and later in the crematorium by field V which was taken into operation from the autumn of 1943.